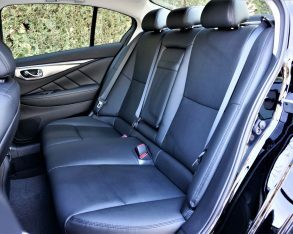 deliveries of the once impervious BMW 3 and 4 Series have been in free fall, calendar year 2015’s collective high somehow tumbling to the lowest point in almost a decade. 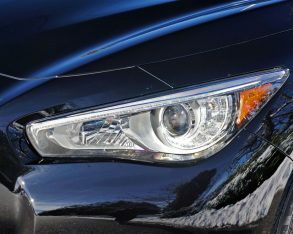 BMW is still number one in the segment, its 10,504 compact D-segment sales just managing to outpace a slightly sagging Mercedes’ C-Class that found just 9,954 customers last year, but an obvious shift in buying patterns is rocking the status quo’s boat. 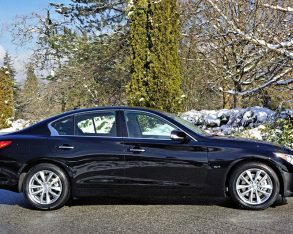 its TLX despite enjoying 5,075 the year prior; and (you were wondering when I’d get to it) Infiniti delivering just 3,391 Q50s and Q60s last year after a gradual decline since the original G series high of 4,954 sales in 2004. 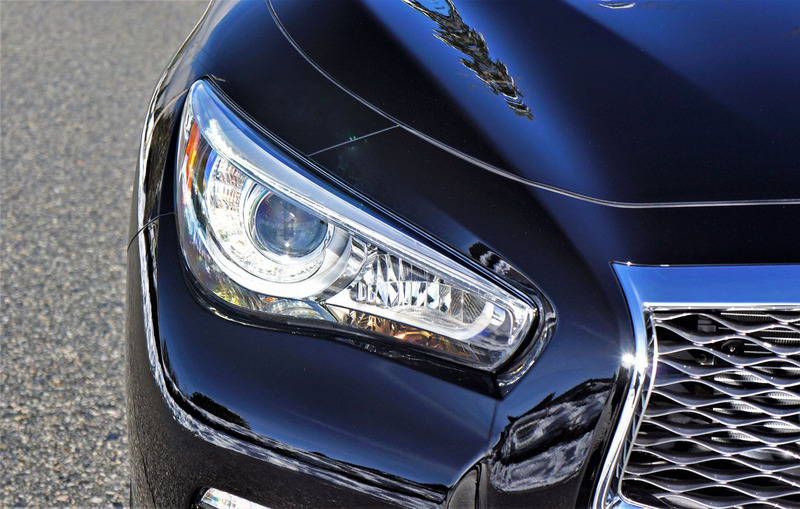 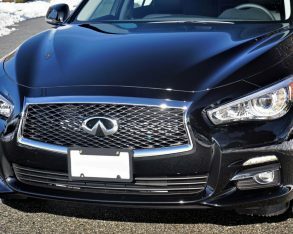 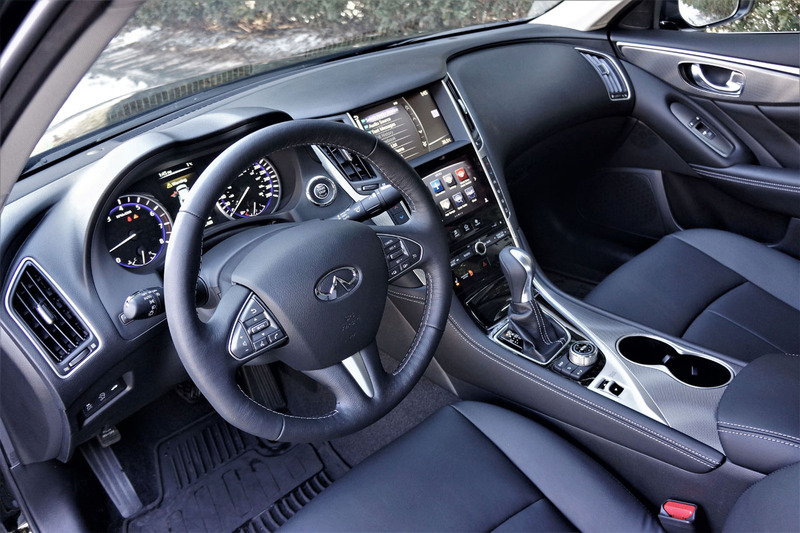 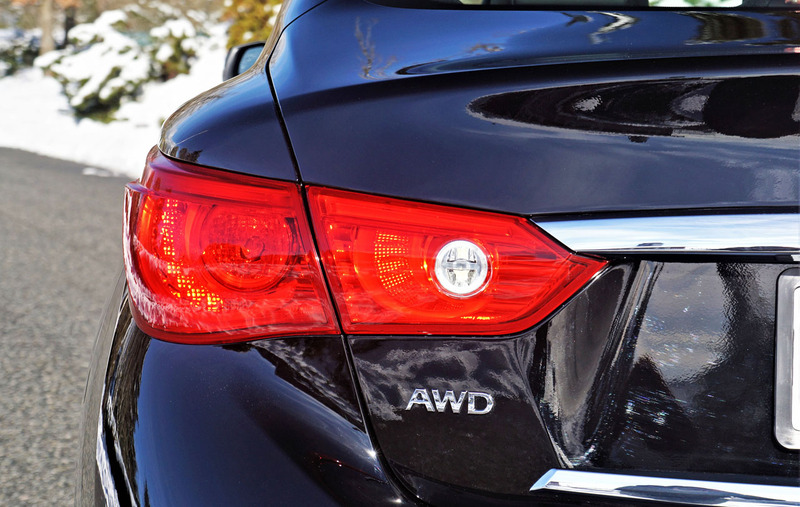 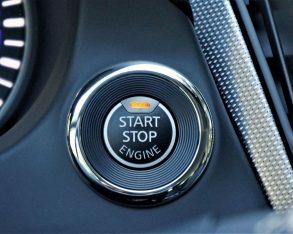 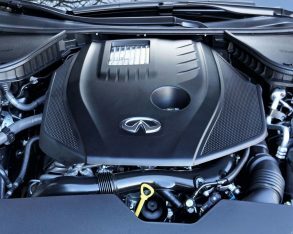 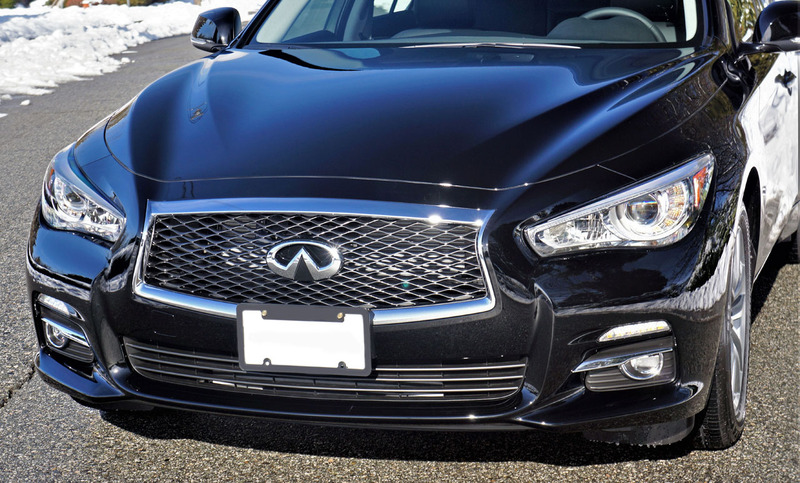 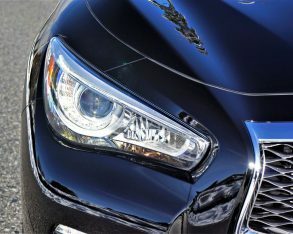 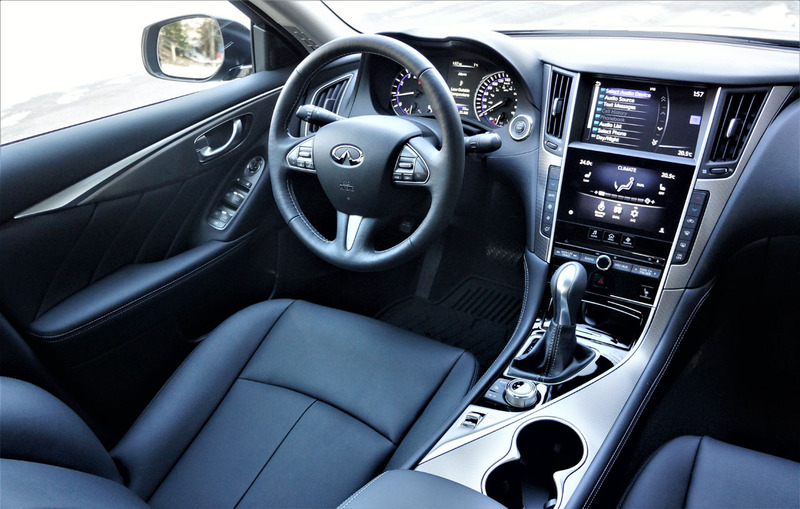 Infiniti is far from the bottom of this list, with Cadillac selling just 2,375 ATS sedans and coupes last year after managing 3,493 in 2015; Volvo’s S60/V60 sedan and wagon combining for just 1,284 units in 2016 after rallying to 1,916 two years ago; Lincoln’s MKZ finding just 1,120 customers despite selling 1,625 in 2013 and being cheaper than average; Buick’s even more affordable Regal only attracting 841 takers in 2016, just five years since selling 2,846; and Jaguar merely pulling in 358 XE buyers, although it’s only been available since June. 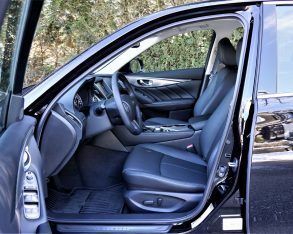 comparison the new Jaguar F-Pace that arrived a month earlier found 1,289 SUV buyers, while every brand just mentioned had their best year of compact SUV sales ever, except Lincoln and Mercedes-Benz, the latter of which had its new GLC and outgoing GLK models in transition and therefore gets a bye. 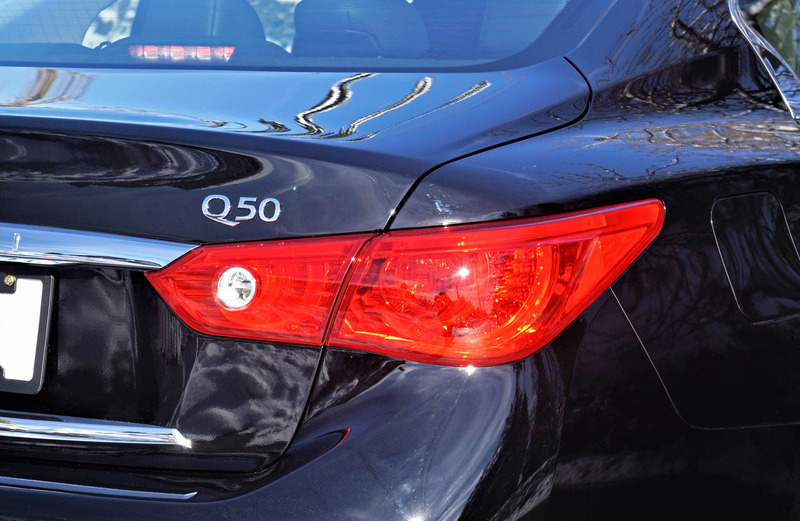 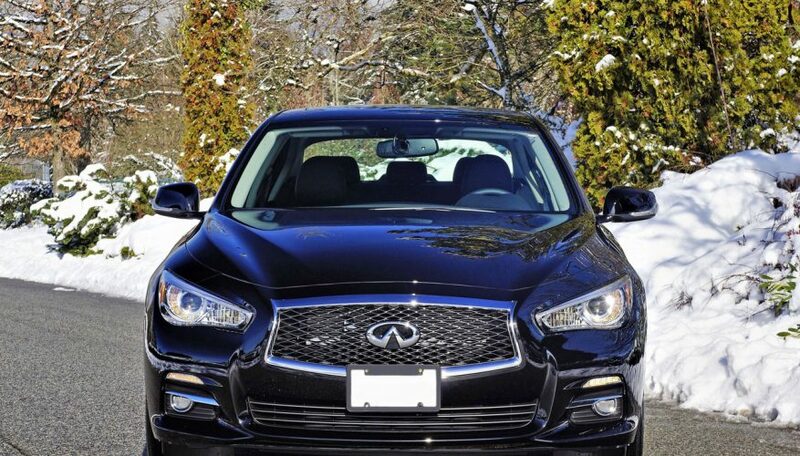 Infiniti’s QX50 sales were stronger too, despite that model more than showing its age. 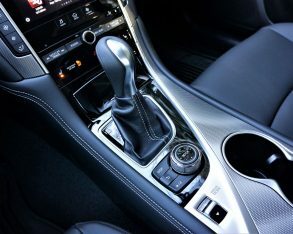 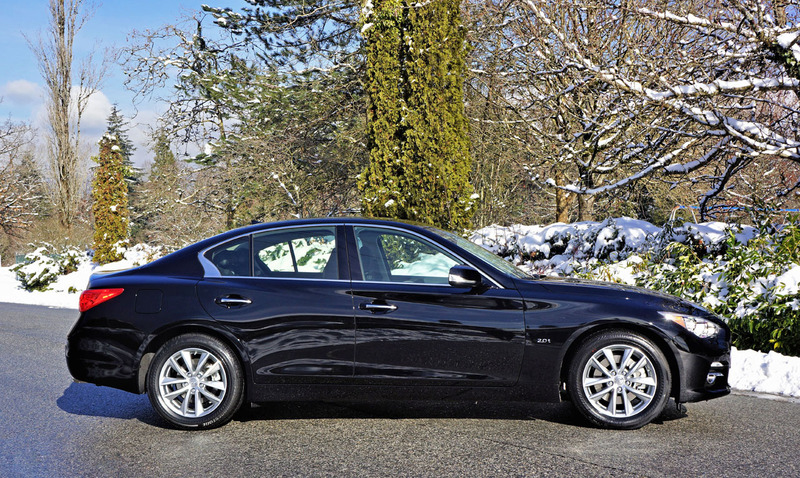 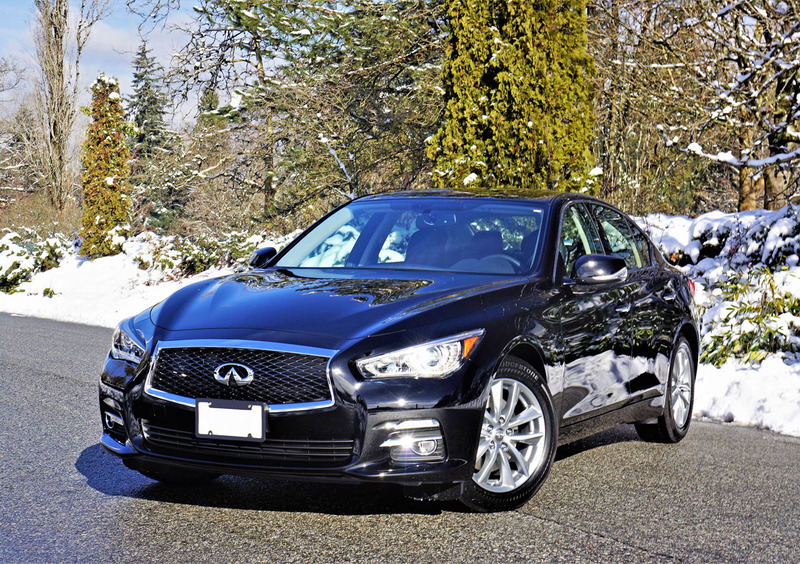 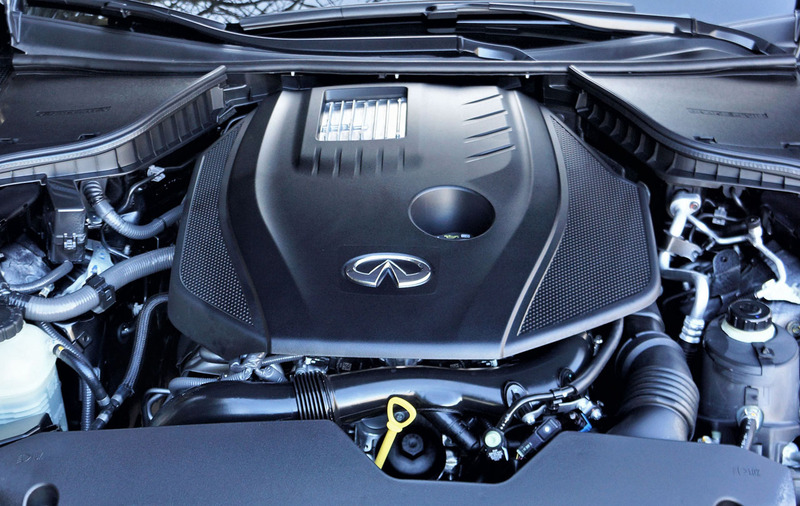 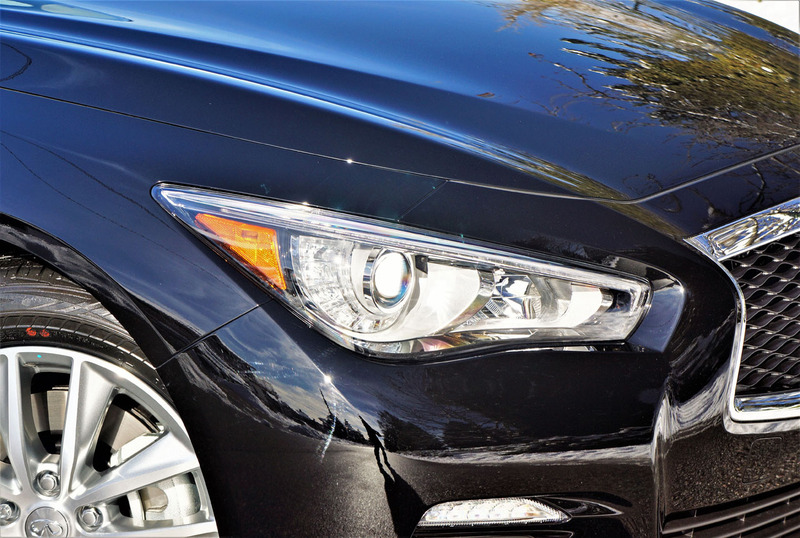 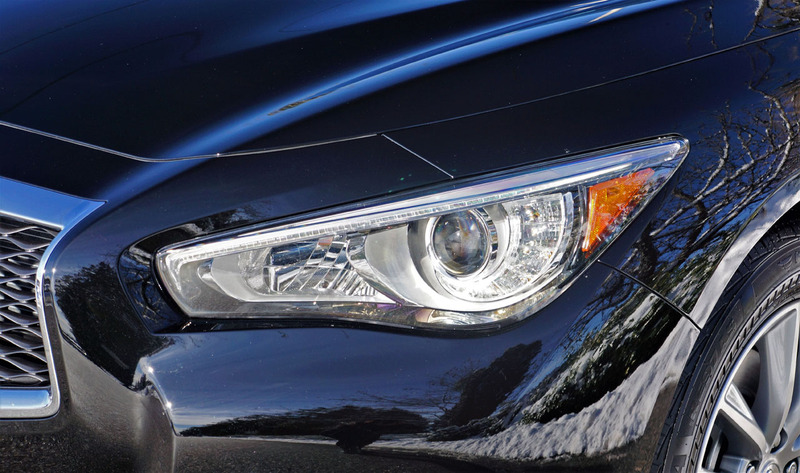 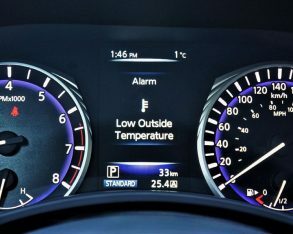 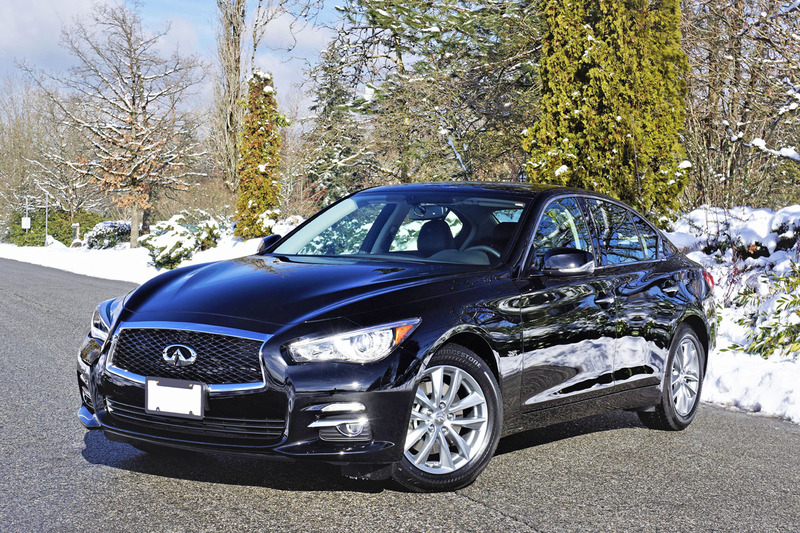 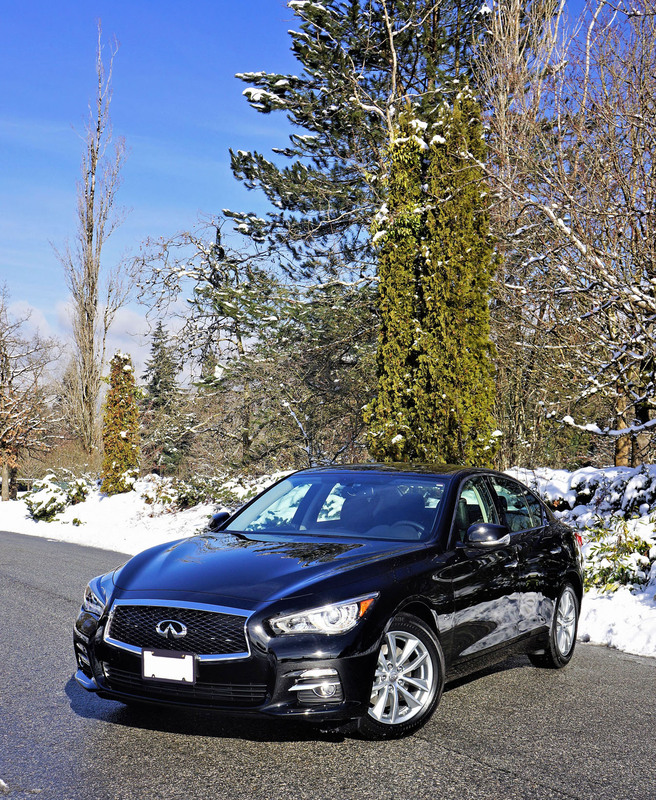 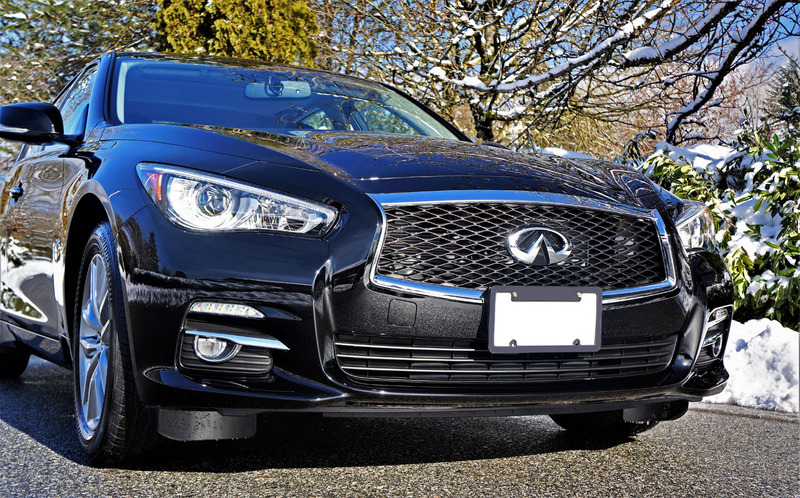 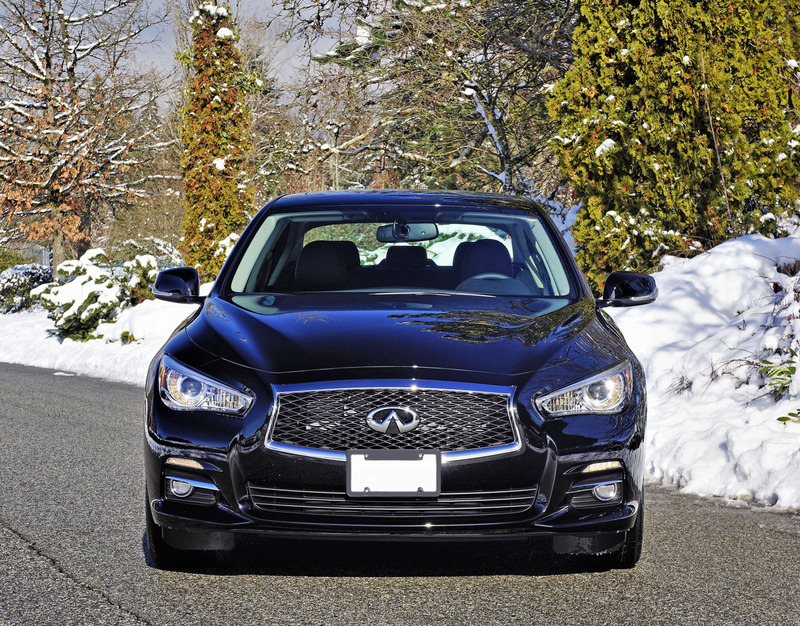 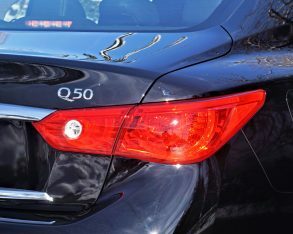 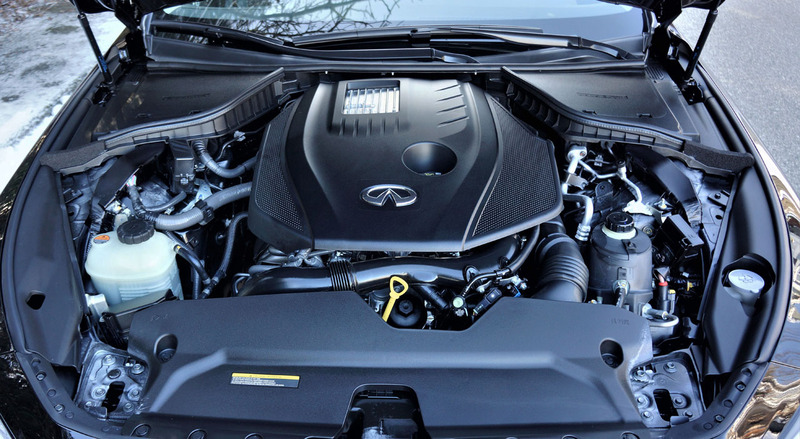 Slowing Q50 sedan sales likely caused Infiniti to change up its most basic offering, the new turbocharged four-cylinder 2.0t AWD model going from a well equipped base car with two available packages to a slightly better equipped base car with zero options, paint choices aside. 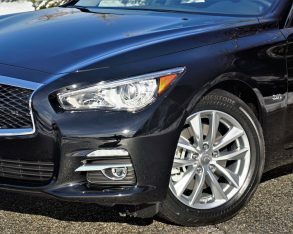 On that note the entry-level sedan’s colour palette has been reduced to just three tones, Pure White, Asgard Grey, and my tester’s Black Obsidian, none of which will add a cent to the Q50’s bottom line. 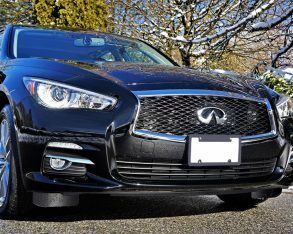 need to move up to mid-level 3.0t AWD trim to get last year’s beautiful Hagane Blue, or for that matter Chestnut Bronze, Majestic White, Platinum Ice silver, or Midnight Black, while alternative Wheat beige and Stone grey interior motifs aren’t available with the base model either, just Graphite black. 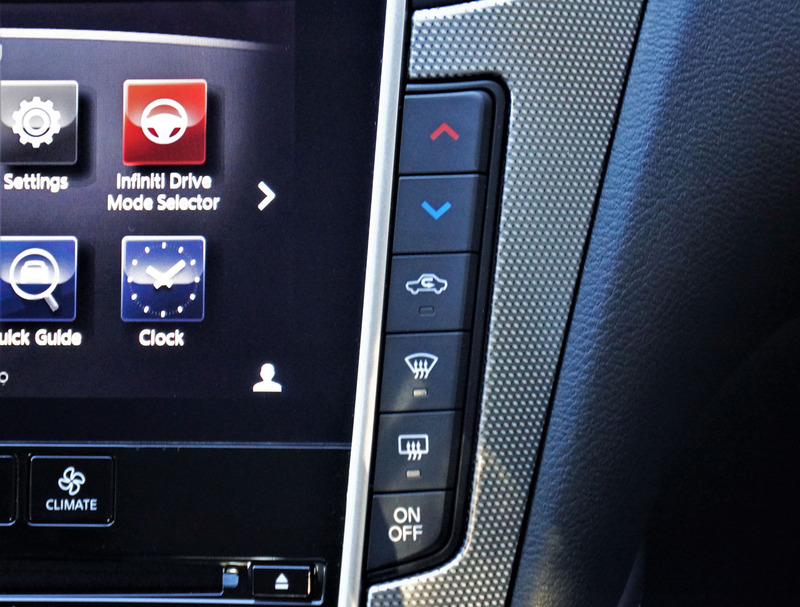 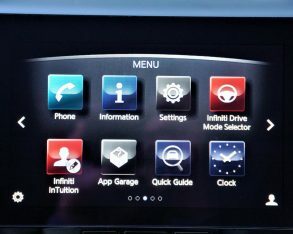 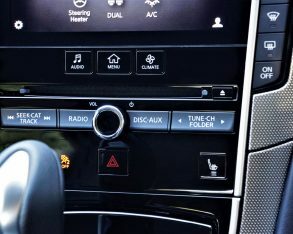 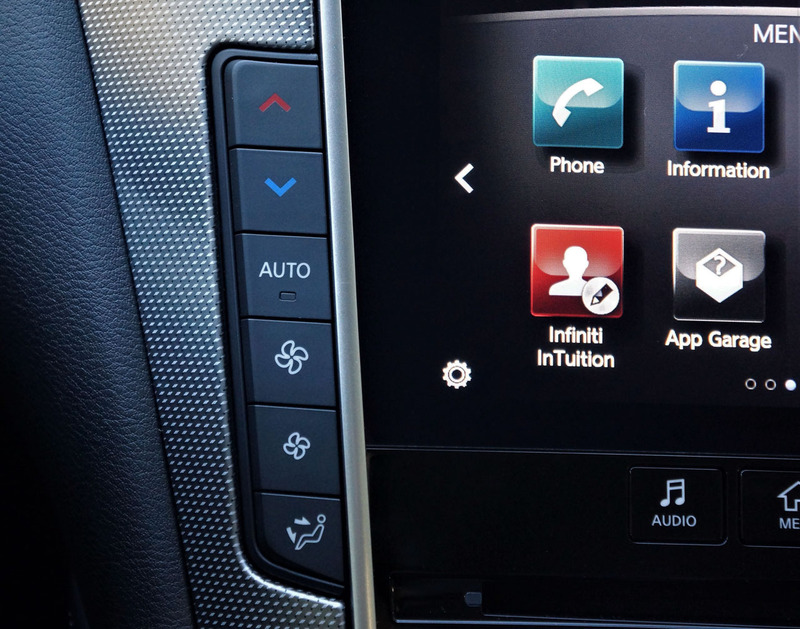 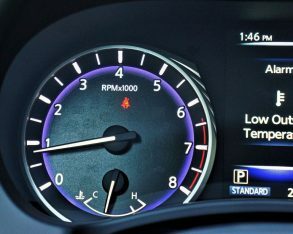 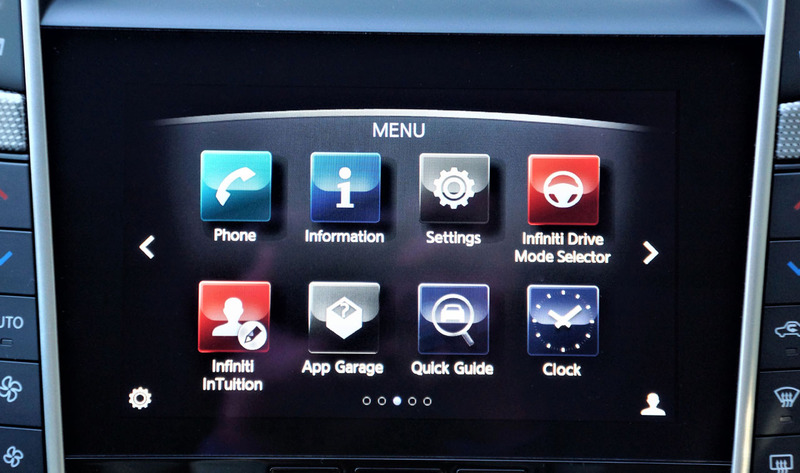 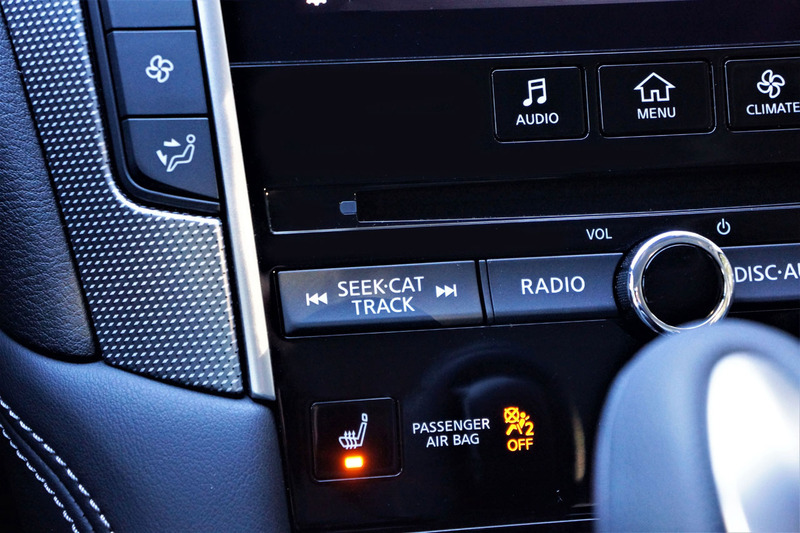 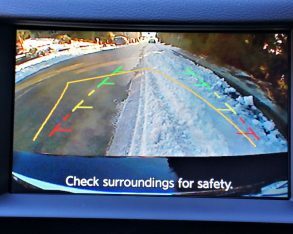 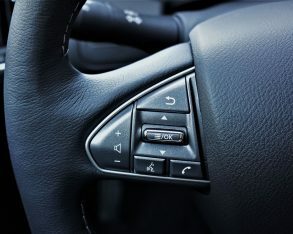 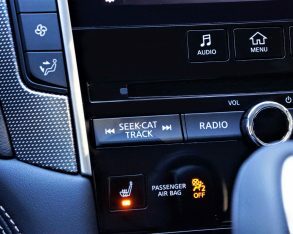 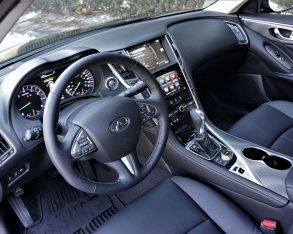 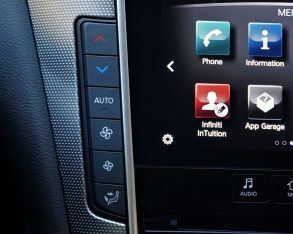 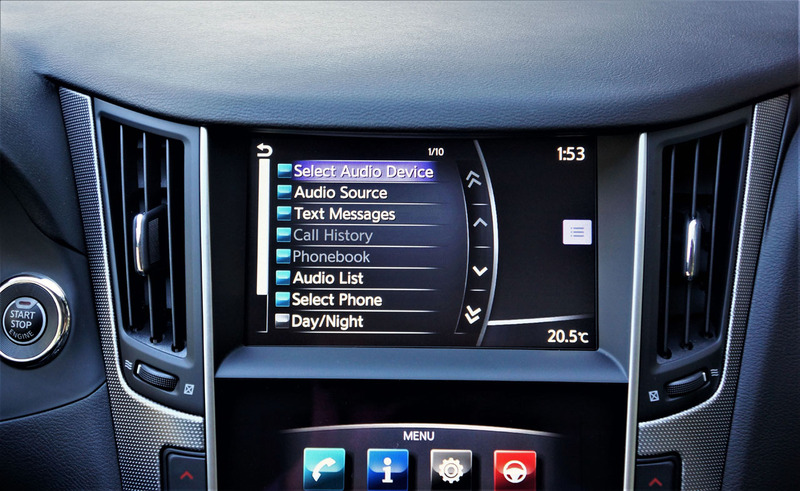 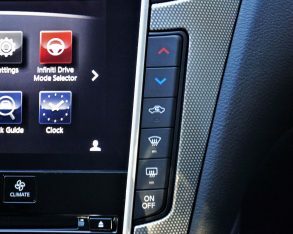 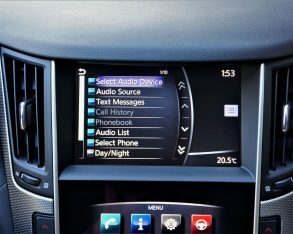 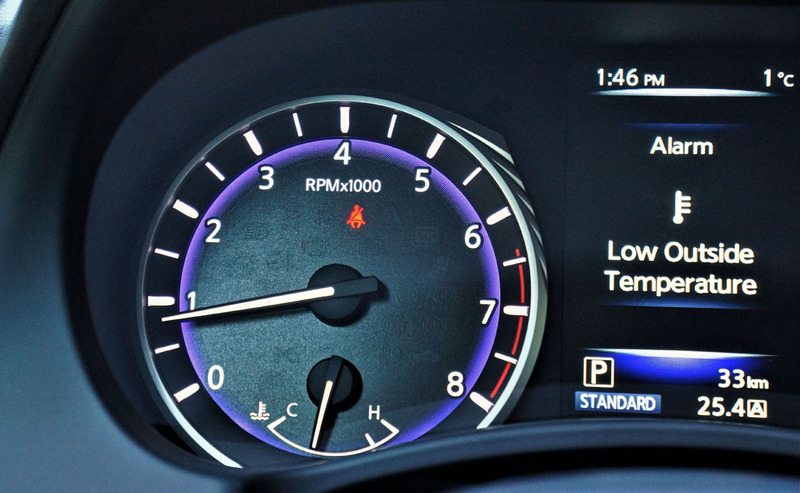 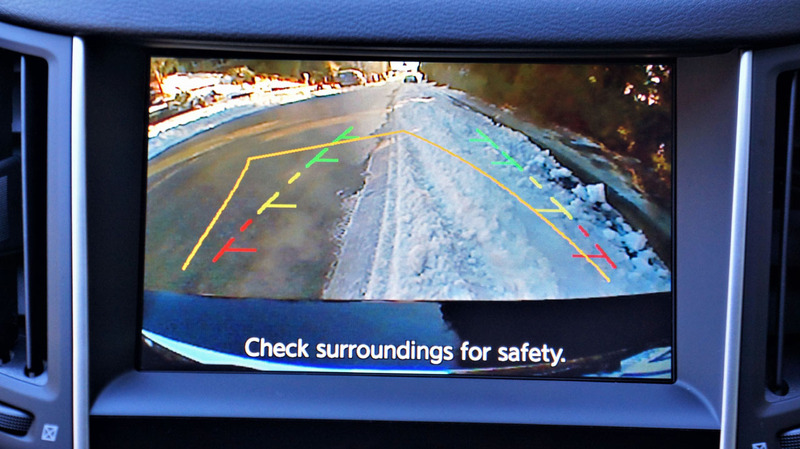 Similarly, features like an auto-dimming rearview mirror (normally standard in this class), navigation with lane guidance and 3D mapping, Bose Centerpoint surround audio (upgraded to 16 speakers this year), Infiniti Connection telematics, a Homelink universal garage door remote, driver’s seat memory, and a number of active safety features such as predictive forward collision warning, autonomous forward emergency braking, blindspot warning, back-up collision intervention, plus front and rear parking sensors, not to mention Infiniti’s superb 360-degree Around View Monitor with moving object detection, will require a move up to 3.0t AWD trim or higher. 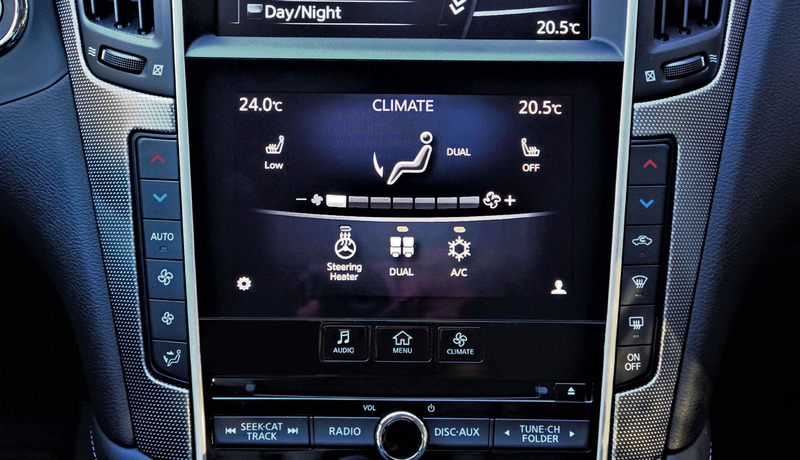 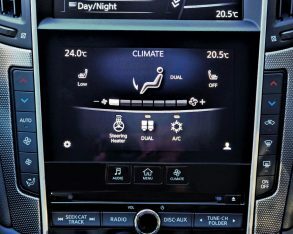 auto HVAC, InTouch dual infotainment displays (including eight-inch upper and seven-inch lower colour LCD/VGA screens), a rearview camera, voice recognition for audio, SMS text and vehicle information, a powered glass sunroof, Bluetooth phone and audio streaming, six-speaker audio with satellite and high definition AM/FM radio, a CD, RDS and speed-sensitive volume, two USB ports, self-fixable Scratch Shield paint, tire pressure monitoring, hill start assist, and all the expected active and passive safety features. 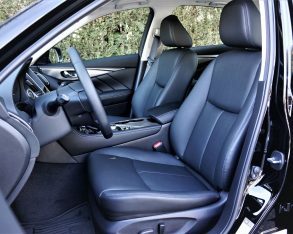 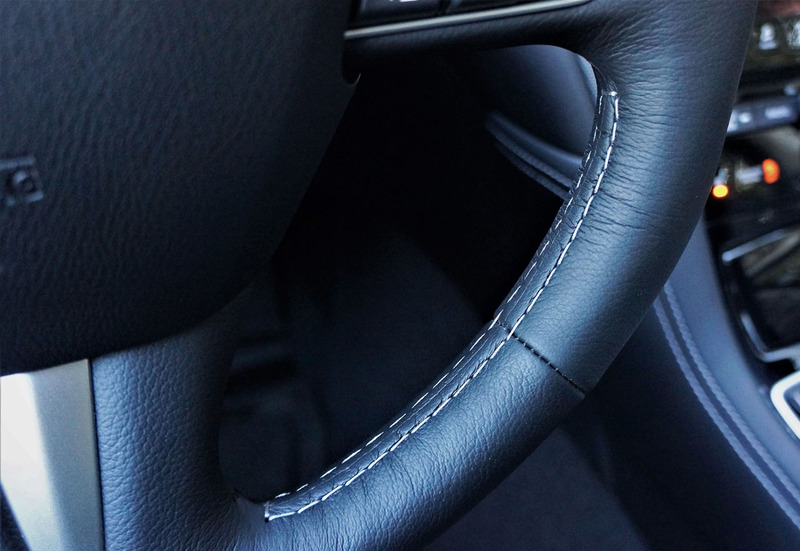 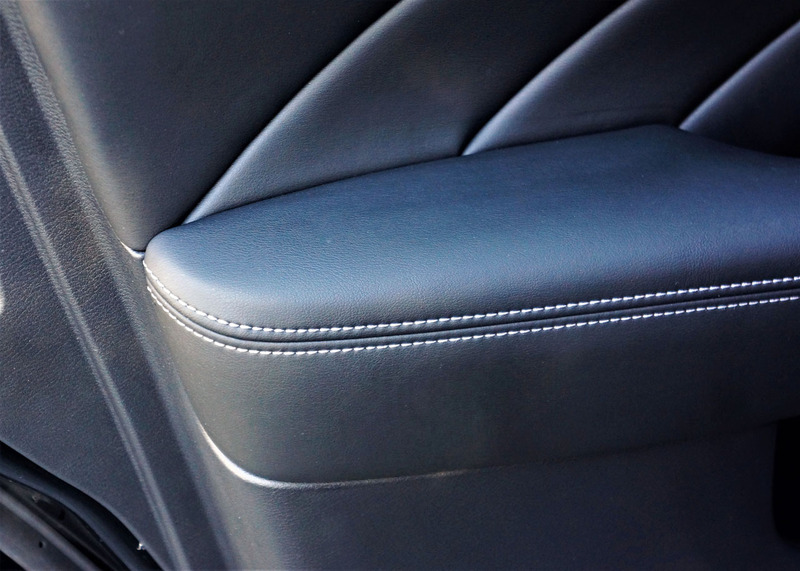 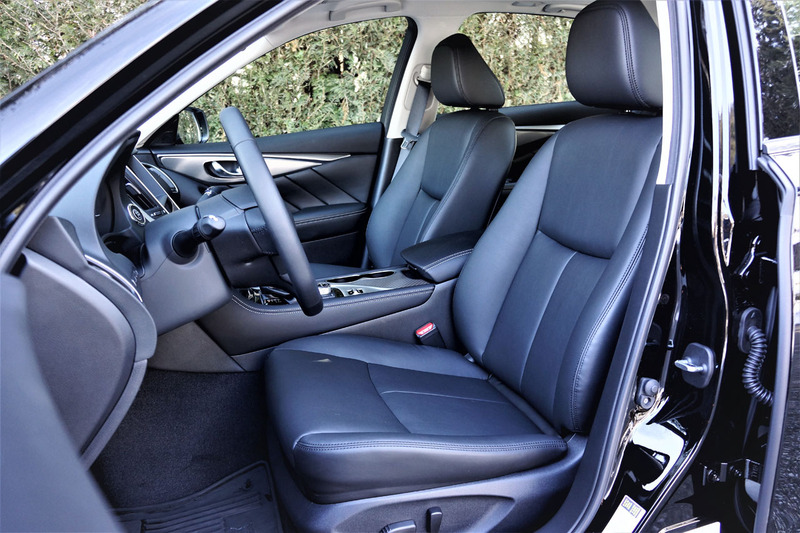 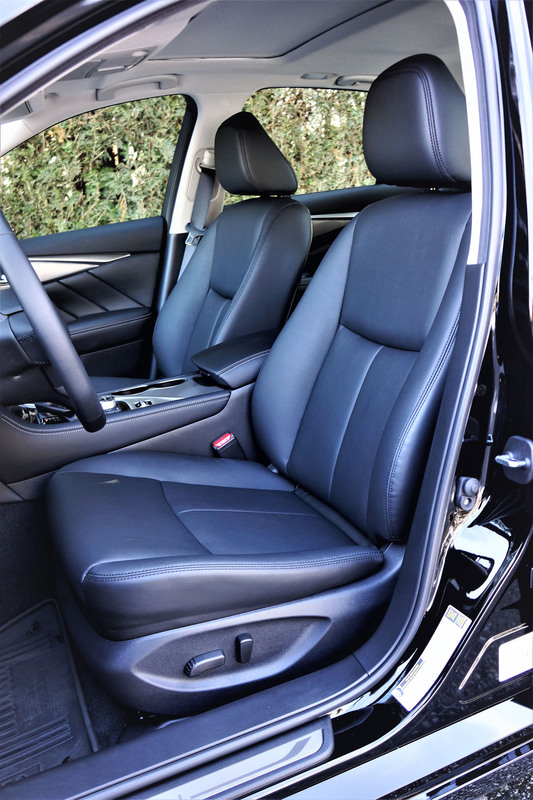 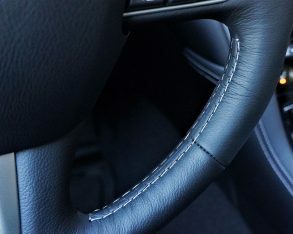 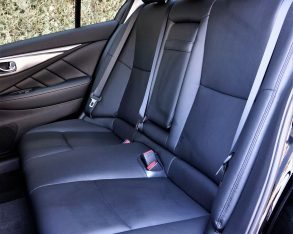 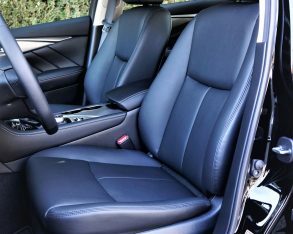 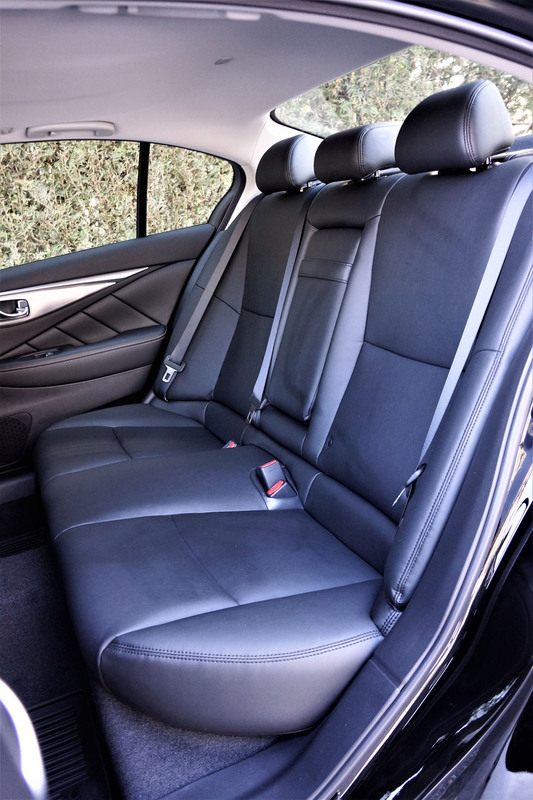 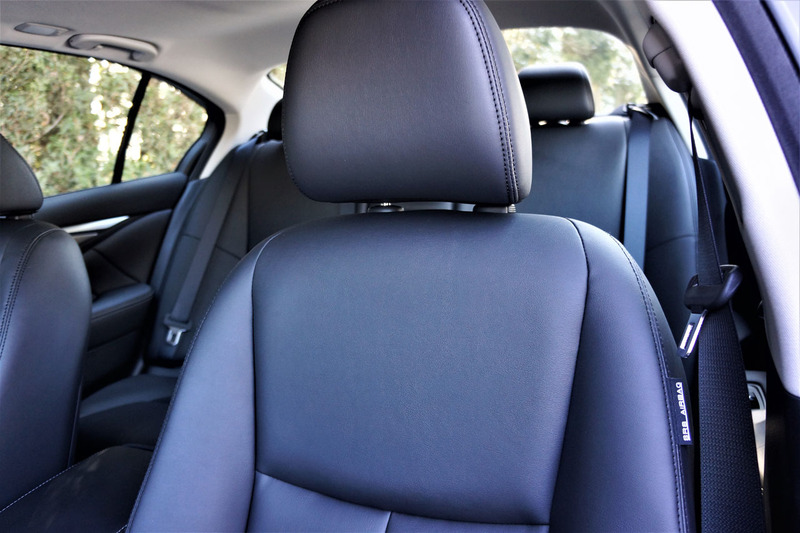 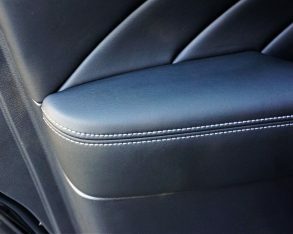 above and beyond most competitors when it comes to soft touch pampering, including the dash top, instrument panel and door uppers, with stitched quilting for the door inserts and leatherette covered contrast-stitched armrests, as well as natural feeling leatherette seat upholstery. 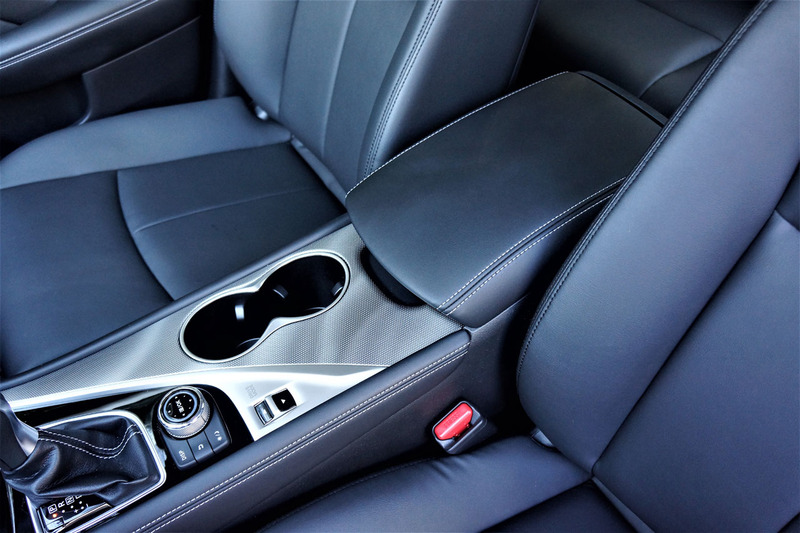 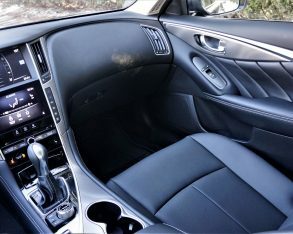 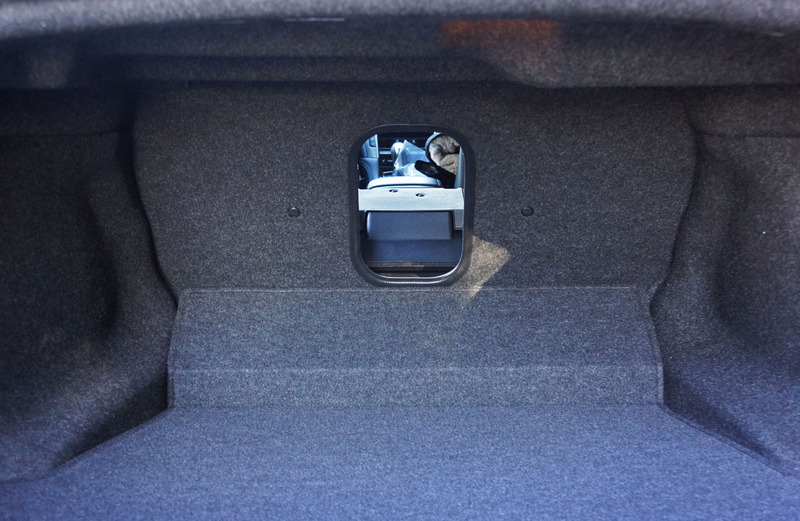 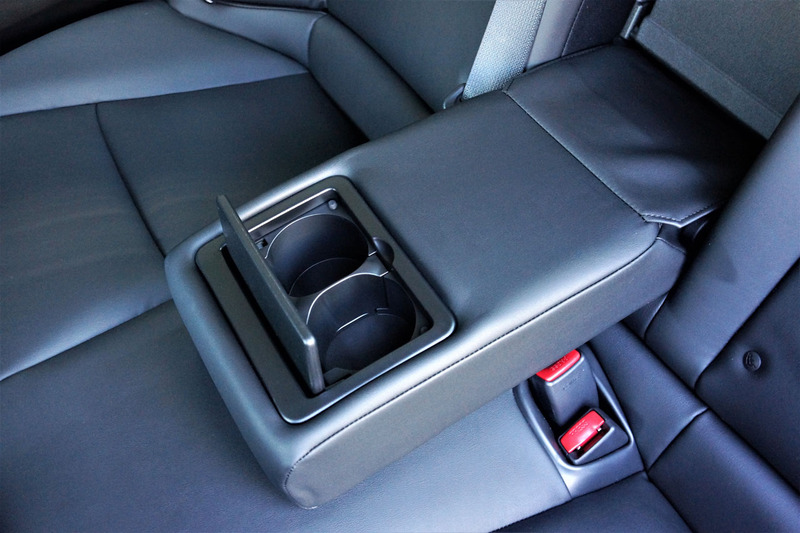 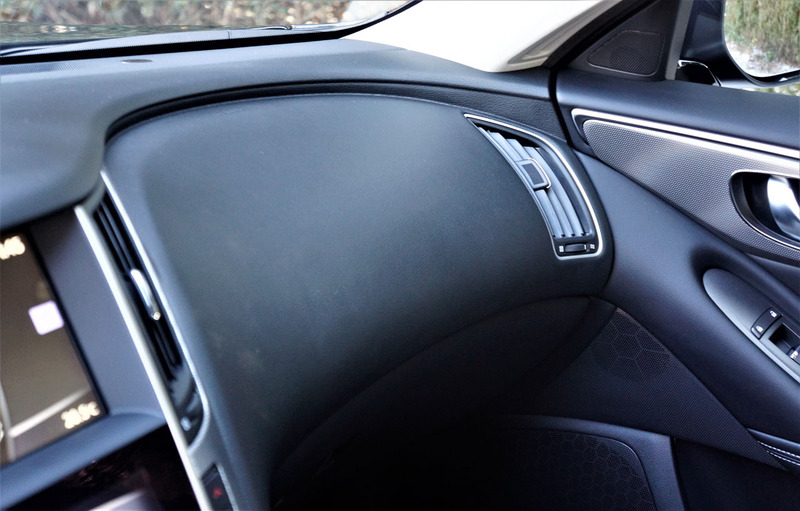 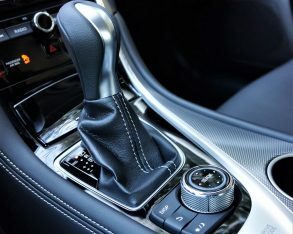 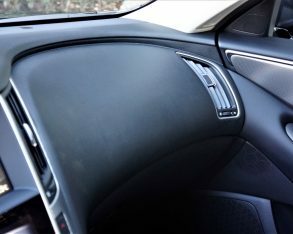 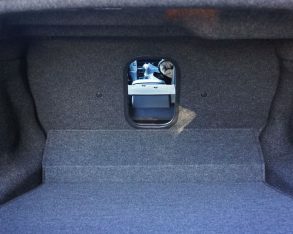 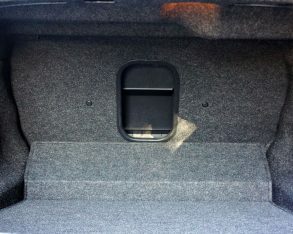 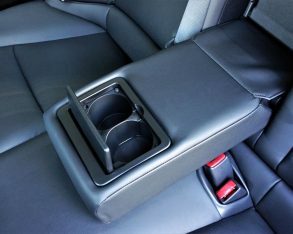 The glove box lid is made from high quality pliable plastic too, not always the case, while best of all, the sides of the lower console are more luxuriously finished than the majority of challengers thanks to contrast stitched, padded leatherette that matches the seats, armrests, and leather-wrapped steering wheel. 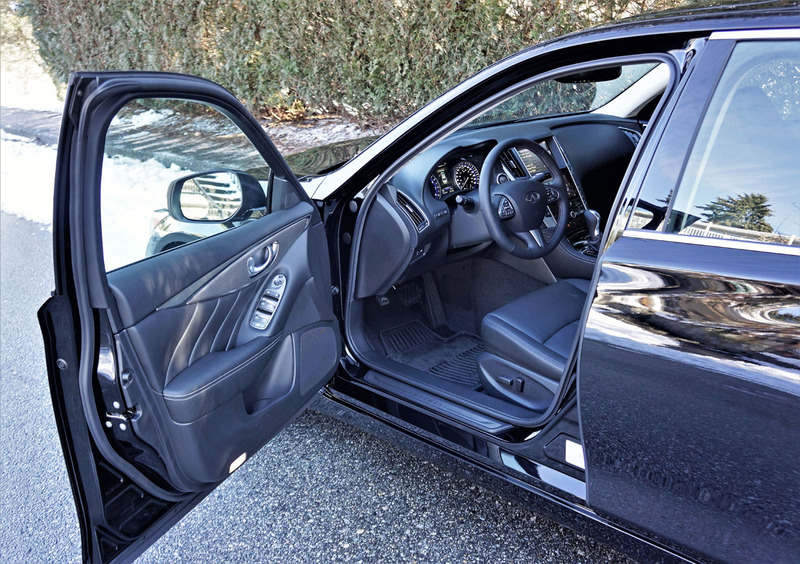 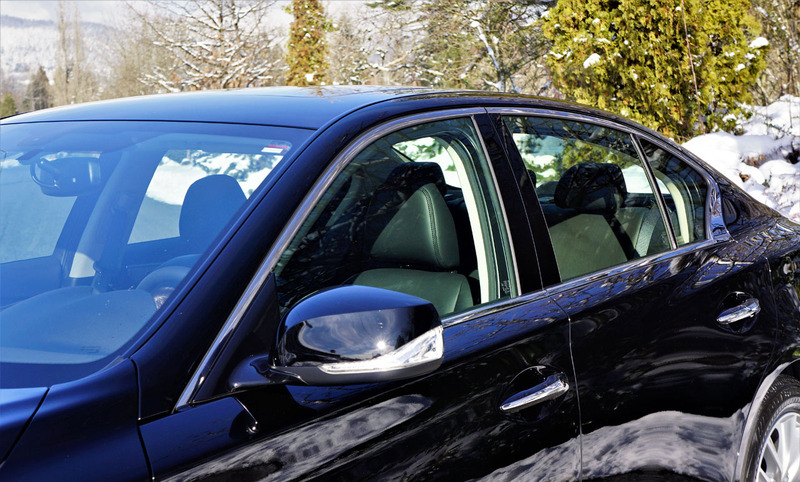 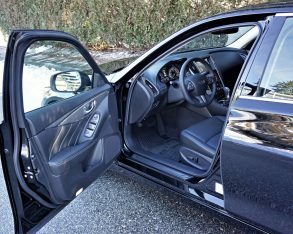 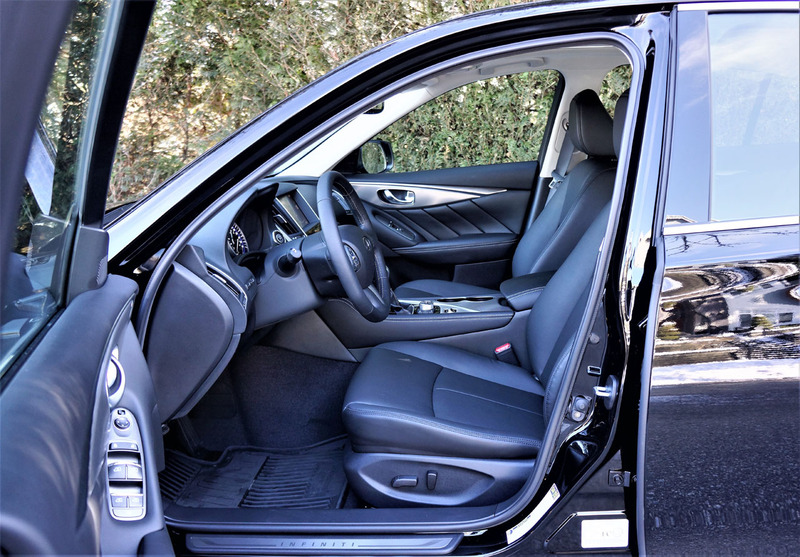 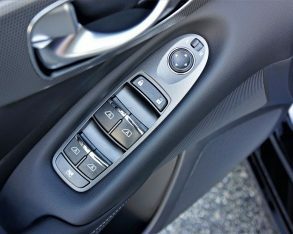 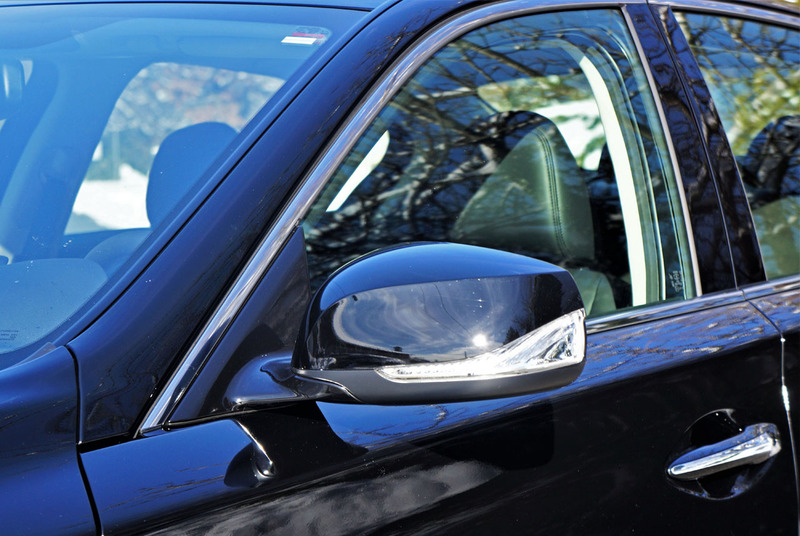 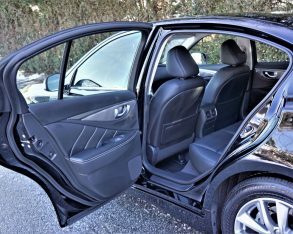 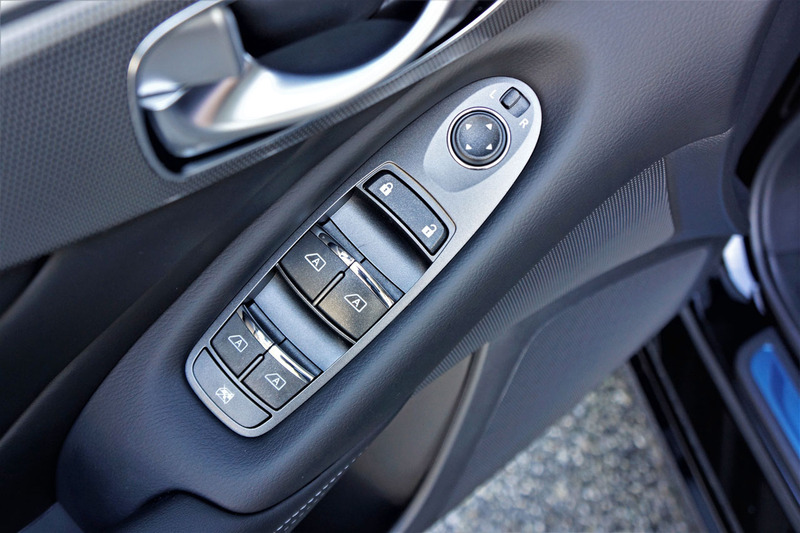 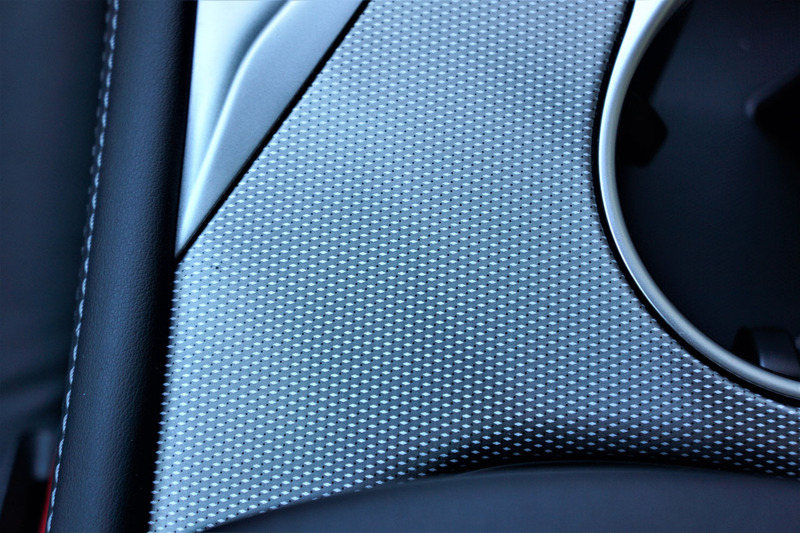 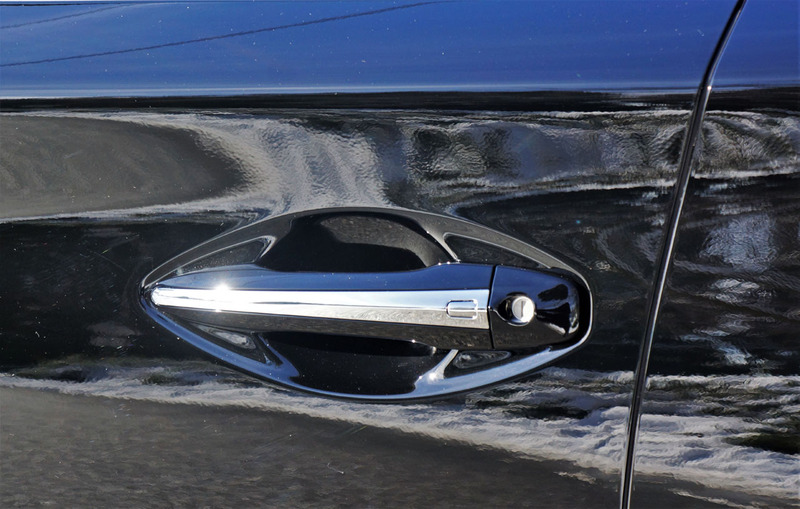 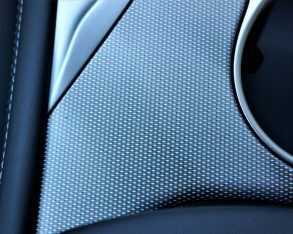 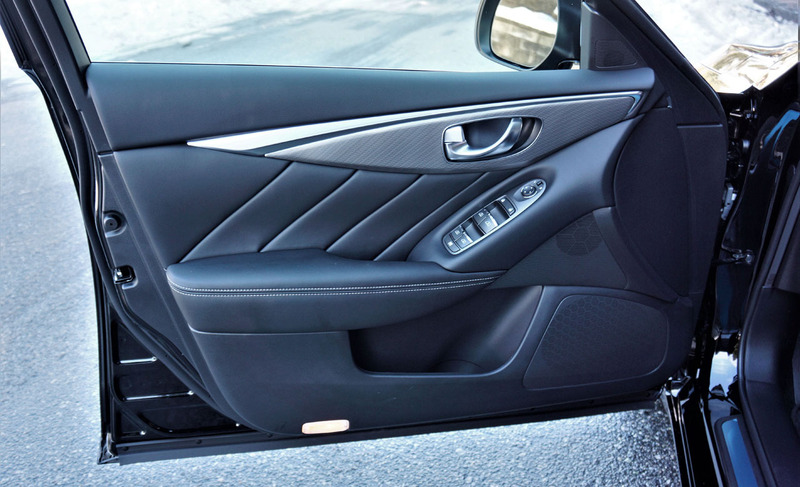 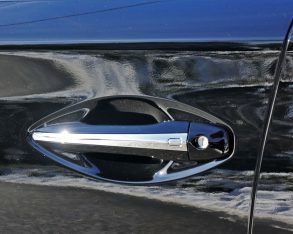 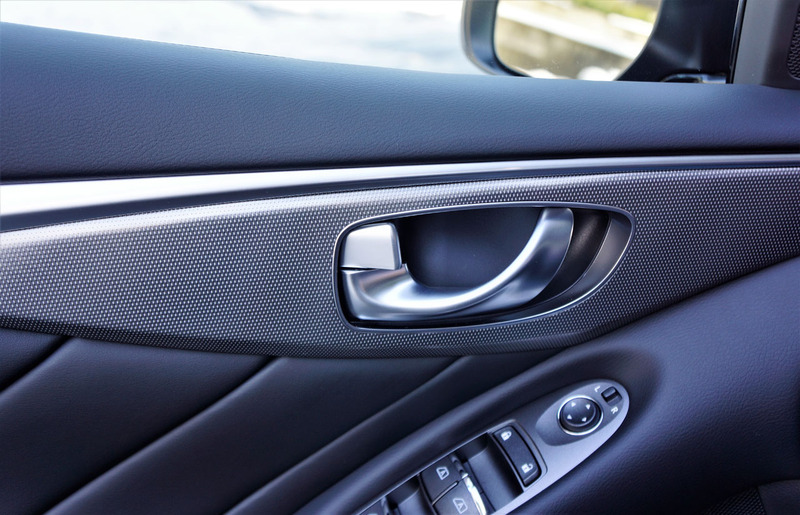 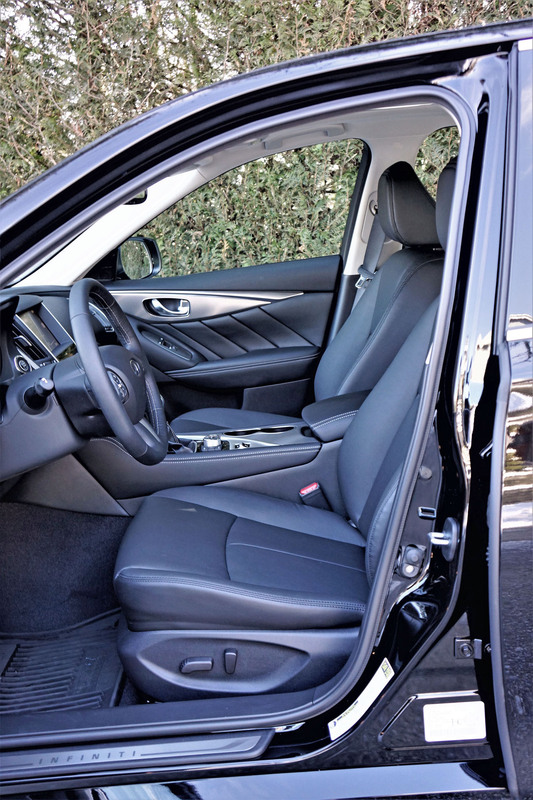 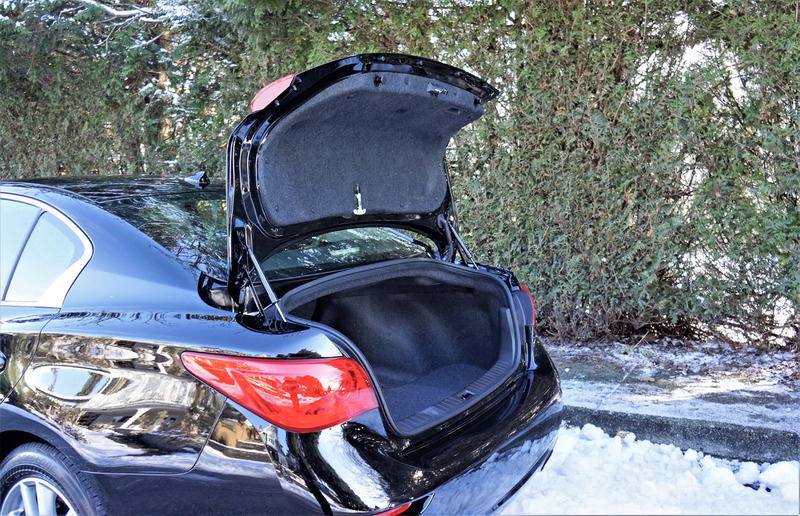 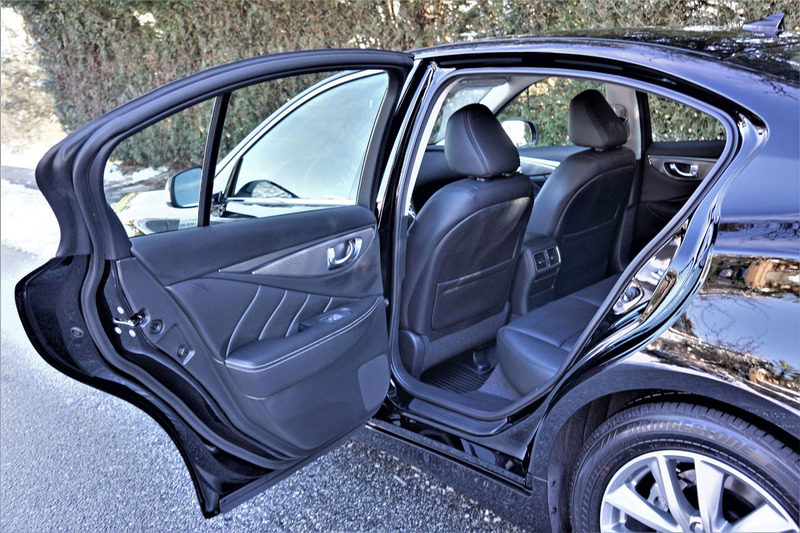 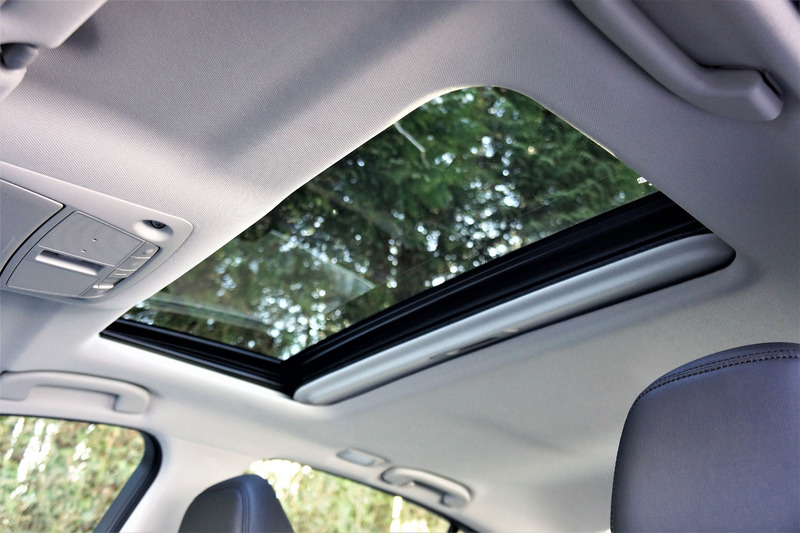 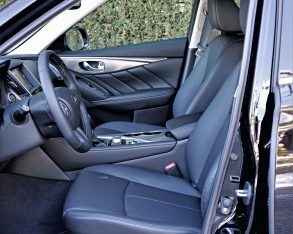 Hard shell plastic lower door panels are the Q50 cabin’s only obvious weakness, but it could be argued they’ll hold up better to scuffs and scrapes. 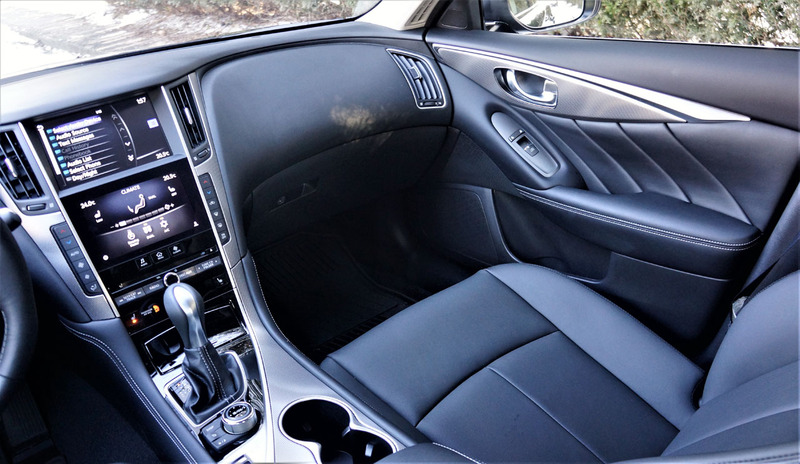 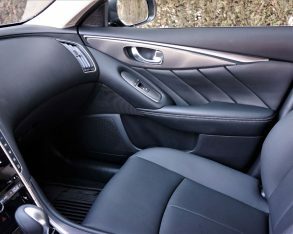 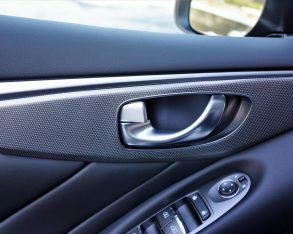 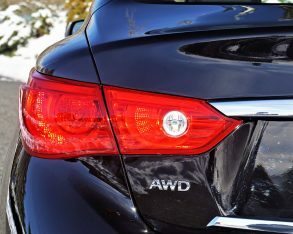 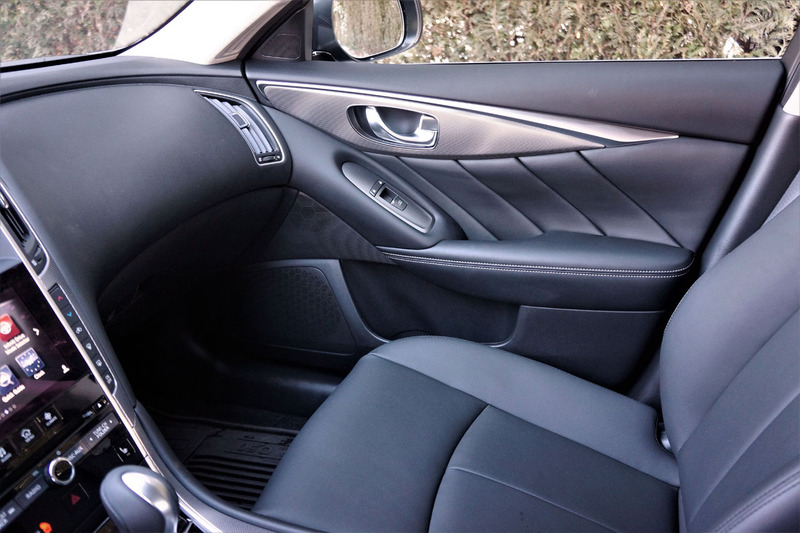 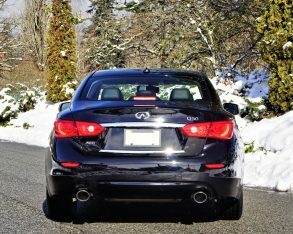 Of course, the segment’s usual fabric-wrapped pillars extend front to rear, and Infiniti’s switchgear is always good. 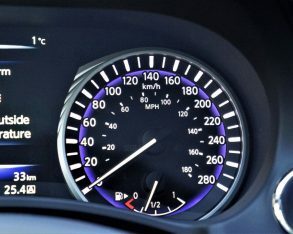 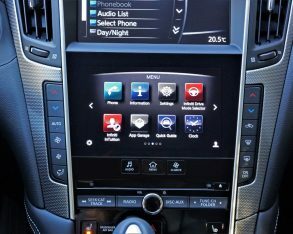 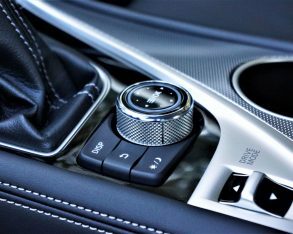 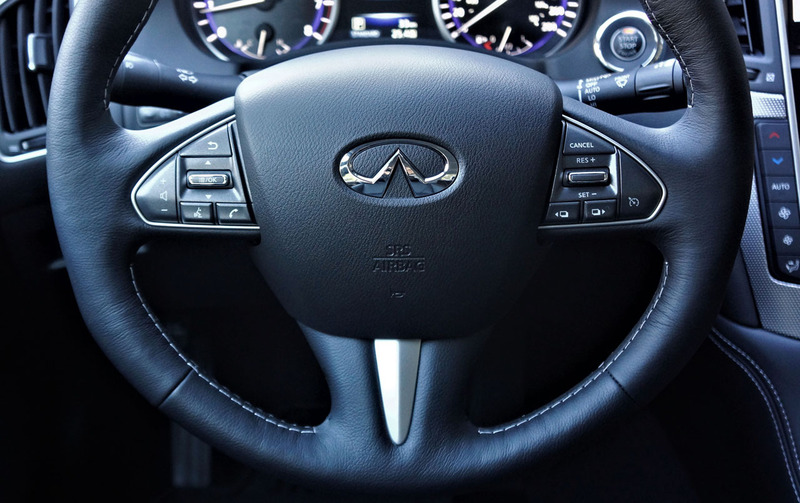 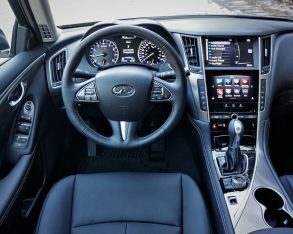 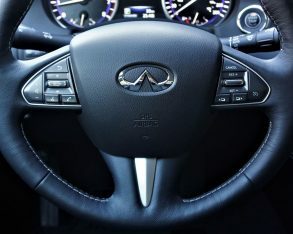 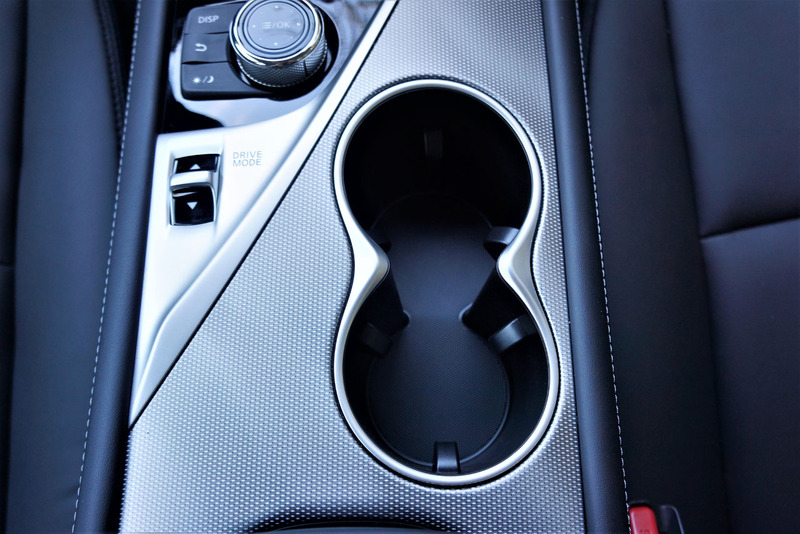 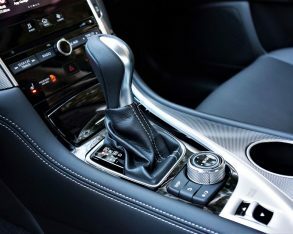 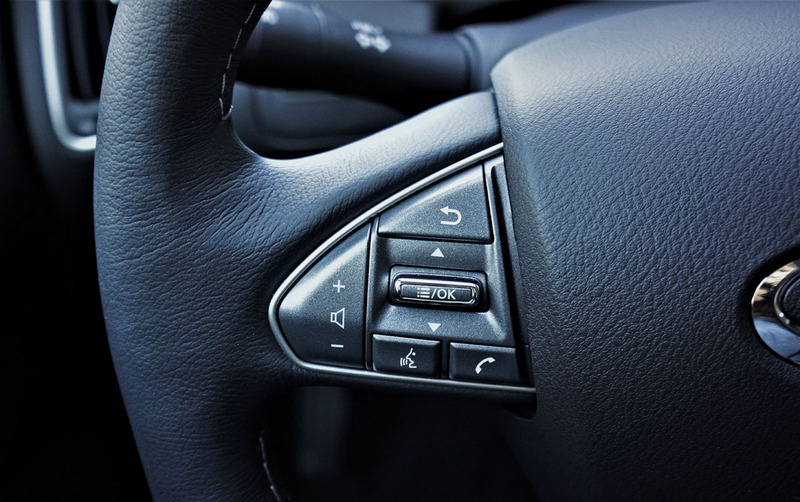 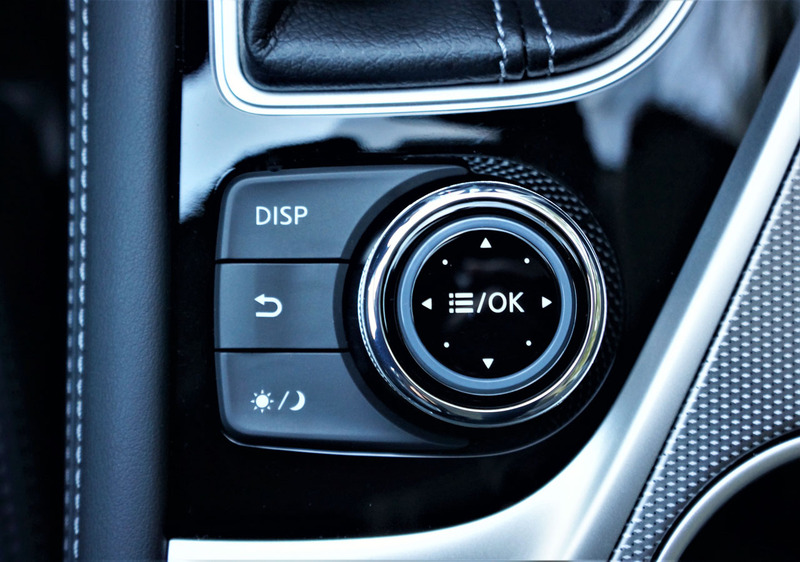 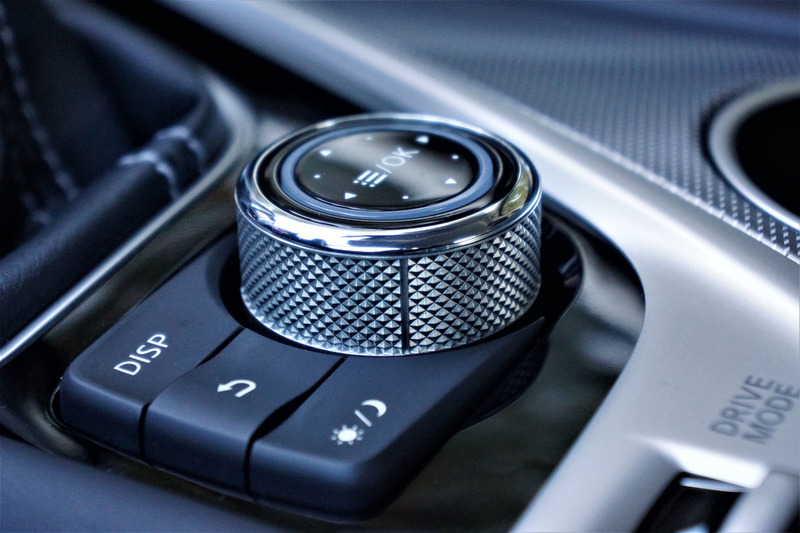 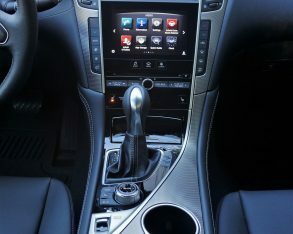 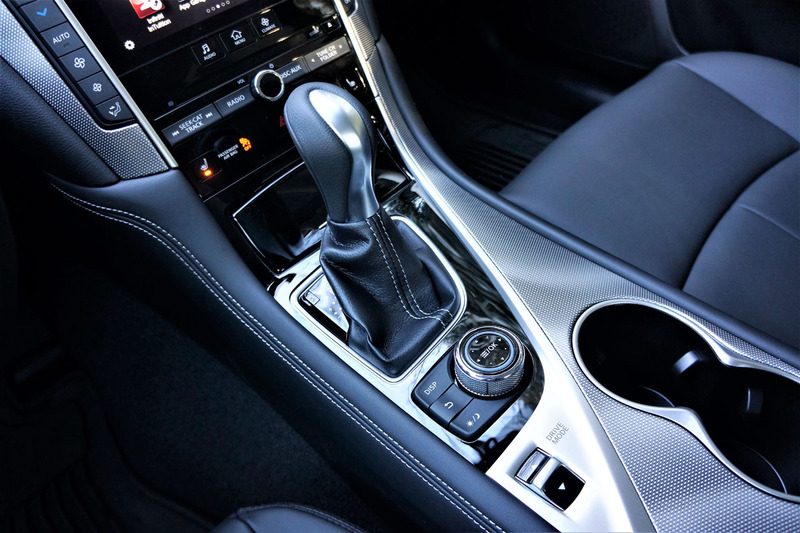 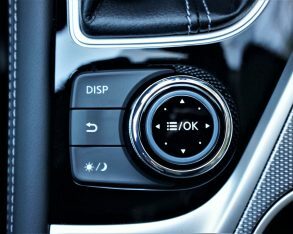 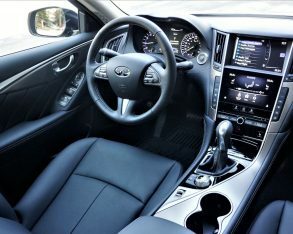 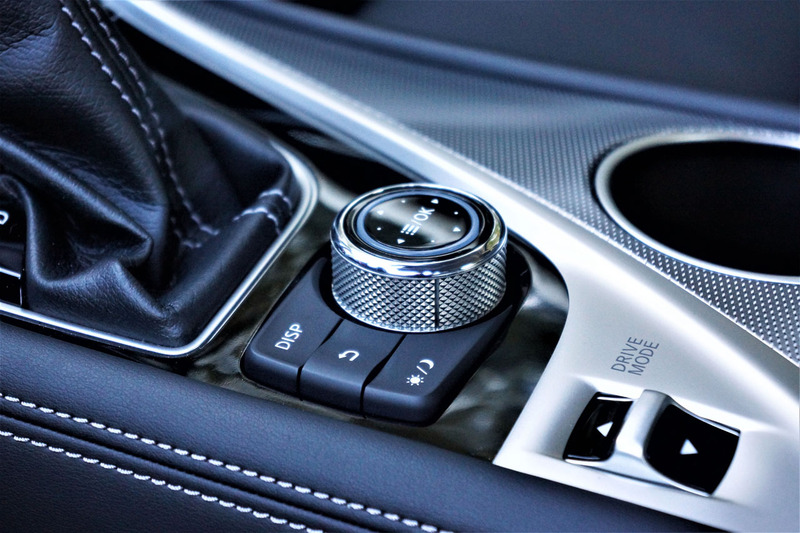 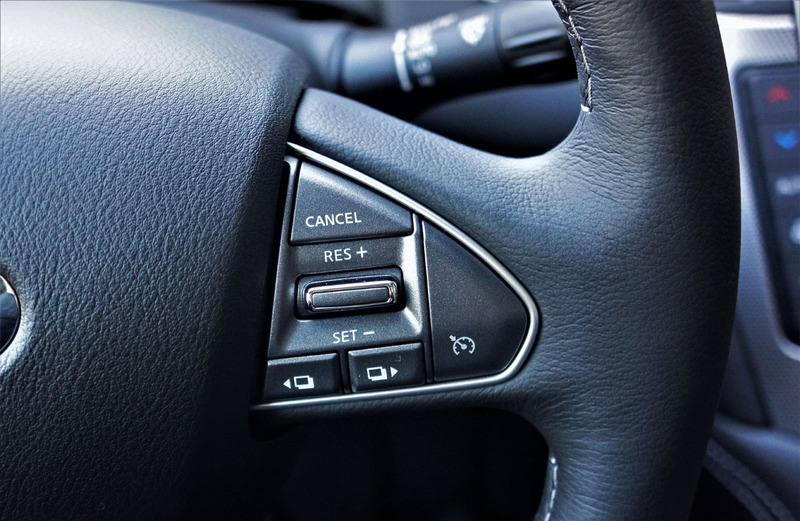 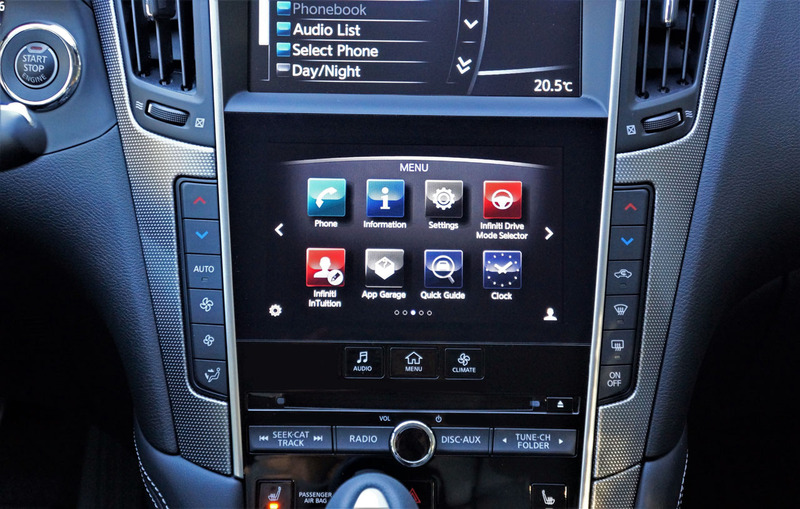 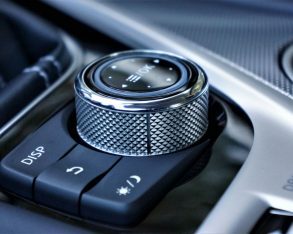 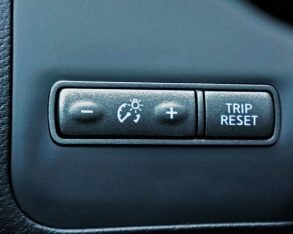 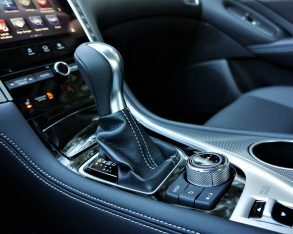 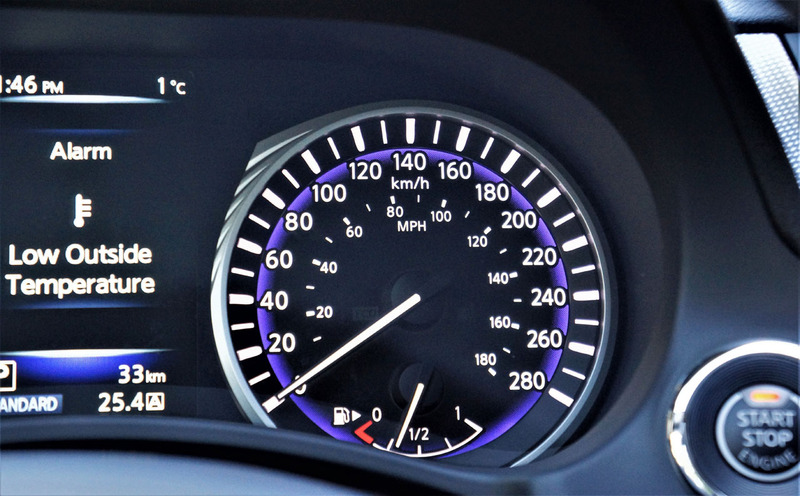 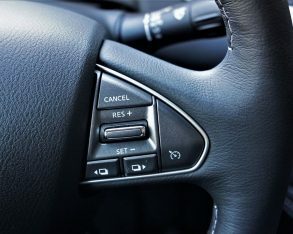 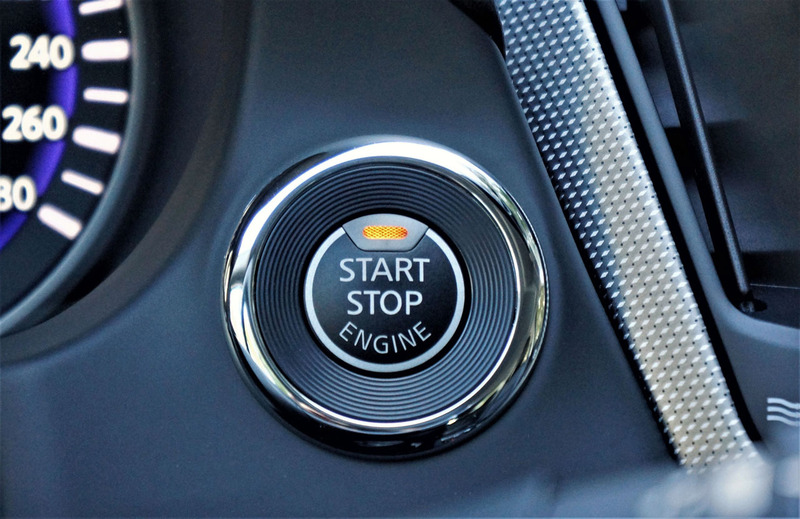 Q50’s rotating and touch-sensitive infotainment controller is a personal favourite, even boasting glittering knurled metal edges, but it’s the dual stack of infotainment displays this circular dial operates that immediately wow upon entry. 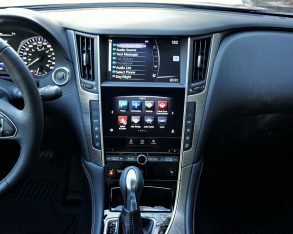 To be clear, the console-mounted controller and its surrounding buttons only connect to the top display, the lower monitor a touchscreen. 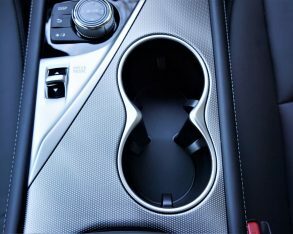 No matter, as the quality of both is superb. 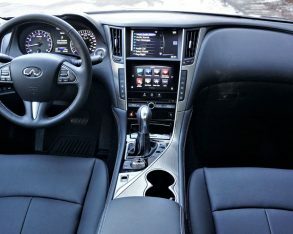 Again, you’ll need to upgrade beyond the 2.0t in order to get navigation with mapping or Infiniti’s InTouch apps, which include Facebook and an Online POI search, but the system works brilliantly for audio, climate, and car settings, while its three quick-access buttons for the first two screens and menu interface made it easy to use. 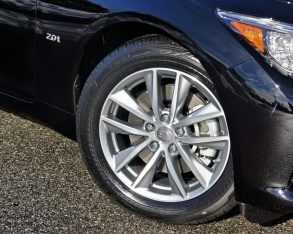 B and CLA 250 models, with 208 horsepower and 258 lb-ft of torque. 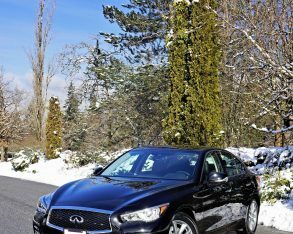 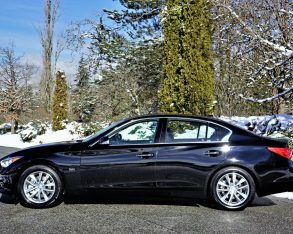 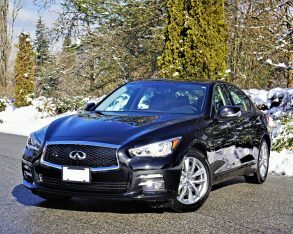 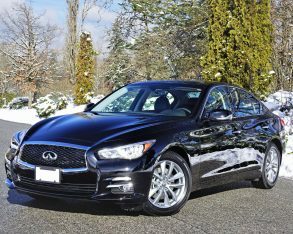 I’m not sure why Infiniti chose to be down some 33 horsepower and 15 lb-ft of torque from its most directly competitive Mercedes, or if it was simply a clause of the agreement stipulated by Daimler, but the result is better fuel economy for the Q50 2.0t than it would’ve otherwise had, if not better than the C 300 4Matic. 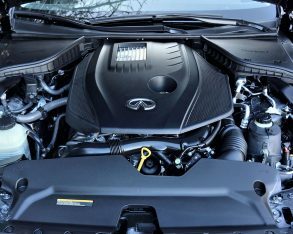 Hybrid that gets an estimated 8.7 L/100km city and 7.6 highway rating, not to mention considerably more power. 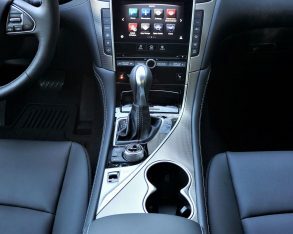 shame as the gearbox gets class-exclusive downshift rev-matching and adaptive shift control resulting in a fun car to drive that even sounds great when getting on and off the throttle, while standard AWD makes light work of deep, crunchy, ice-topped snow banks, its stock Bridgestone Potenza RE97AS 225/55RF17 all-season run-flats feeling more like full snows until it came time to take to a curving back road. 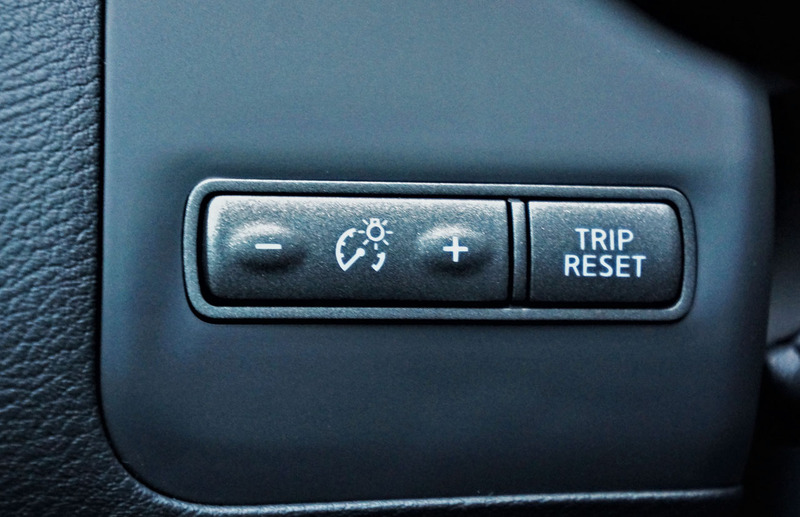 or optional Direct Adaptive Steering, but it was still wonderfully reactive to input. 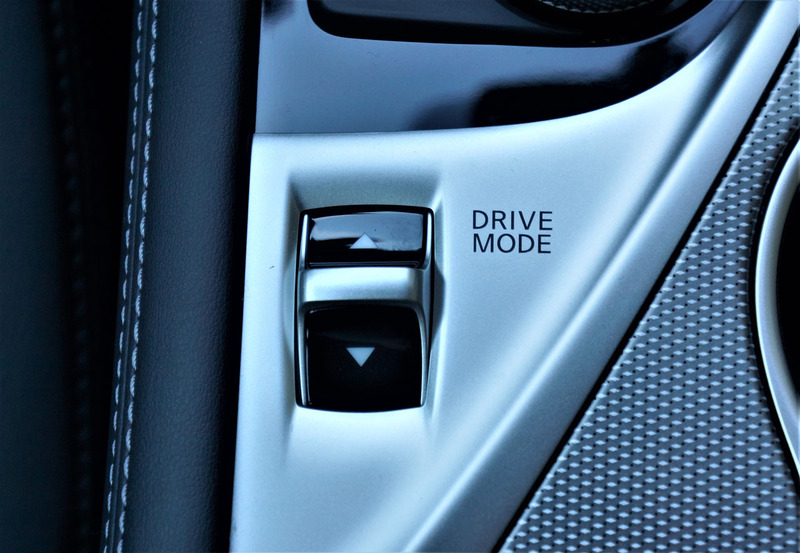 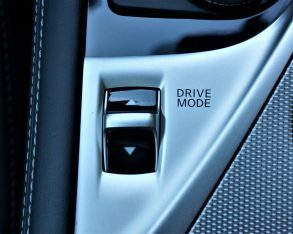 you get aggressive, while alternatively you can set up Personal modes to better suit your own unique tastes. 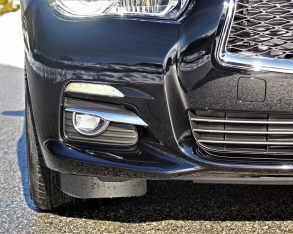 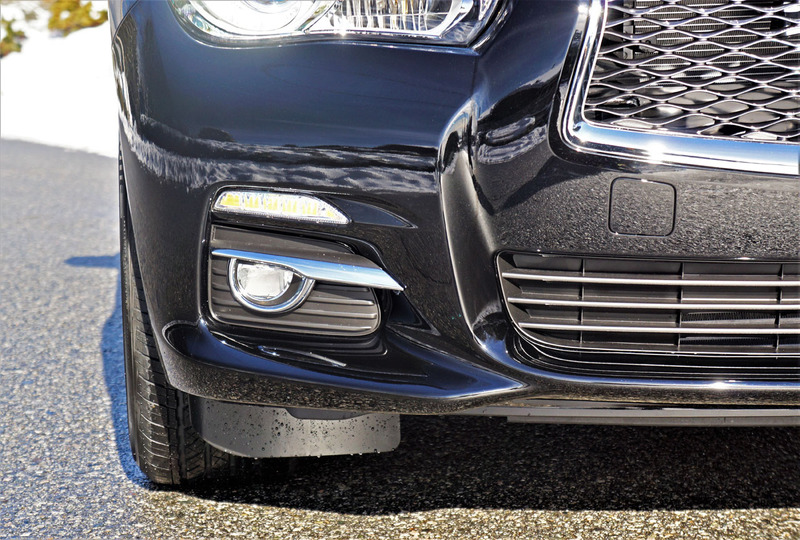 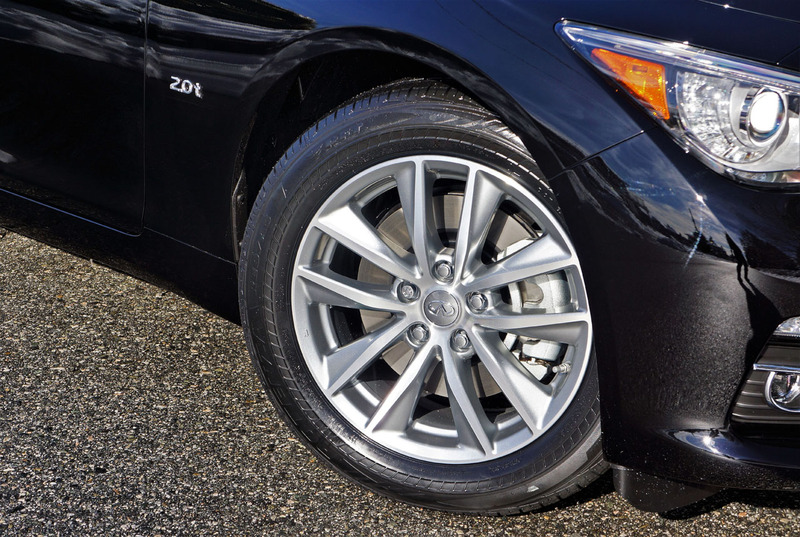 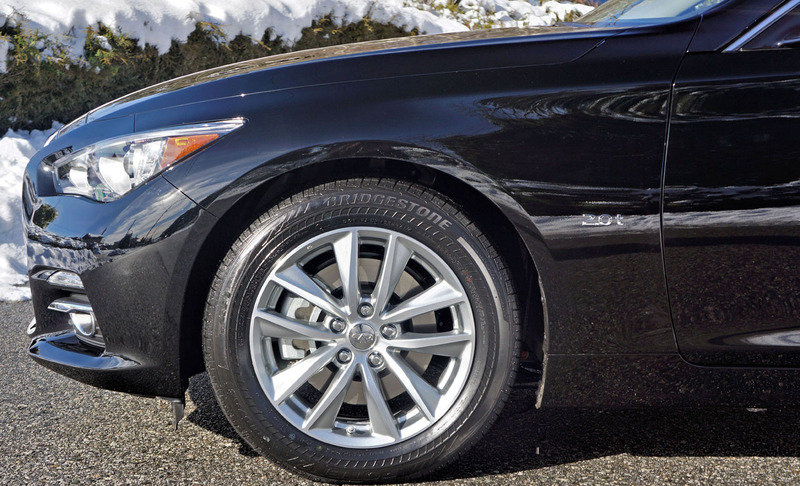 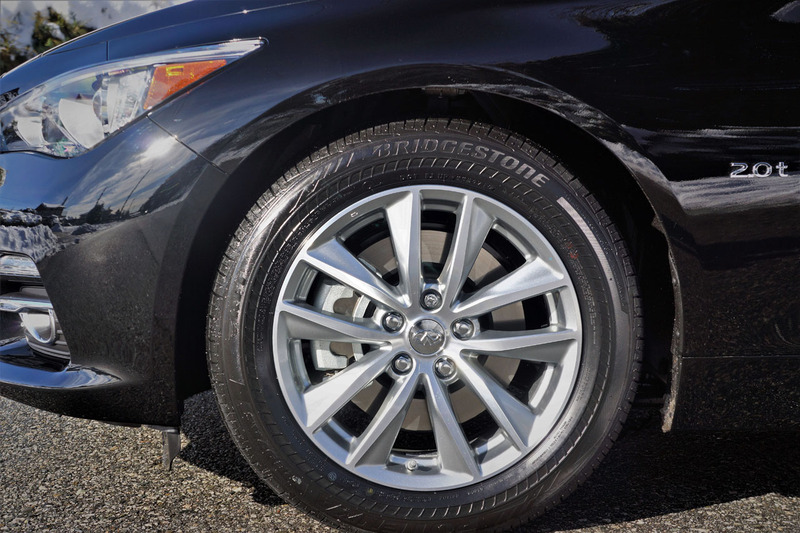 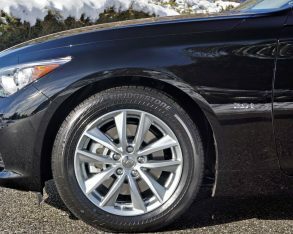 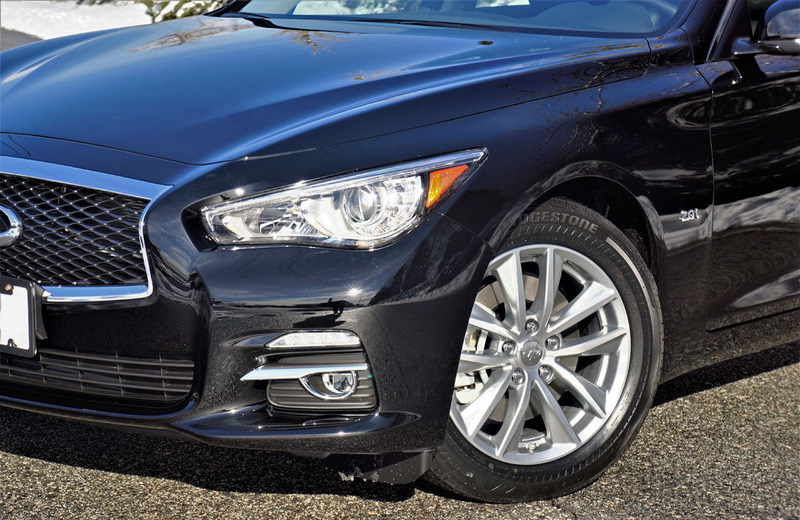 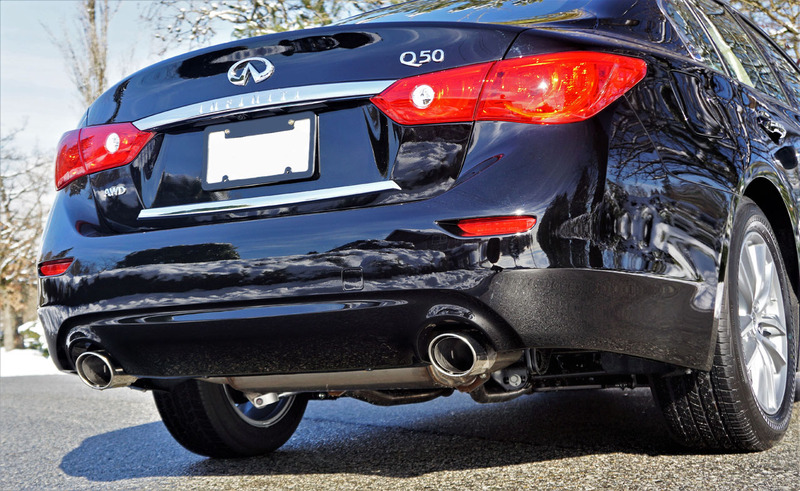 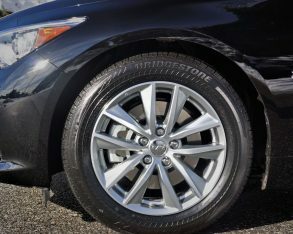 Back to speed, stopping power was also strong, the base Q50 benefiting from 12.6-inch front and 12.1-inch rear ventilated discs that resisted fade well despite hard use during testing. 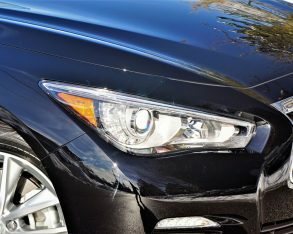 top “Good” marks for small overlap front, side impact, rear crash protection, and roof strength tests, whereas moderate overlap front test results weren’t available. 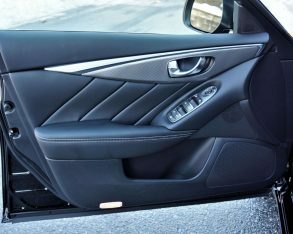 The 2015 car had a good result for the latter test, mind you, so we can expect good things for the 2017 model when full tests are completed. 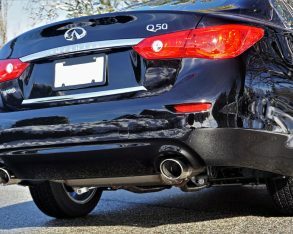 Now that we’re talking practicalities, the Q50 offers comfortable accommodations for most body types front to back, the latter certainly providing more space than my five-foot-eight medium-build frame required. 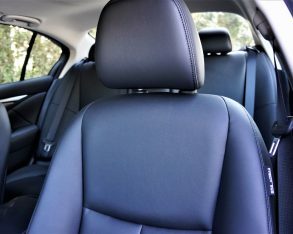 I adjusted the driver’s seat for size and still had around four inches remaining ahead of my knees when sitting behind, not to mention three inches over my head. 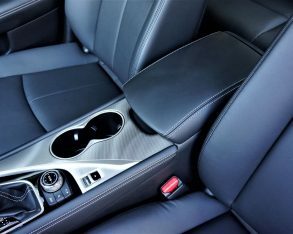 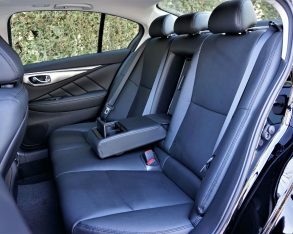 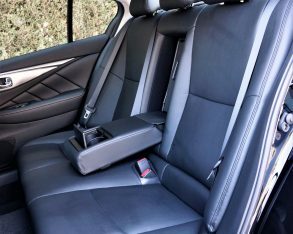 There was plenty of thigh and lower back support too, plus the foldable centre armrest with twin integrated cupholders added to the comfort quotient. 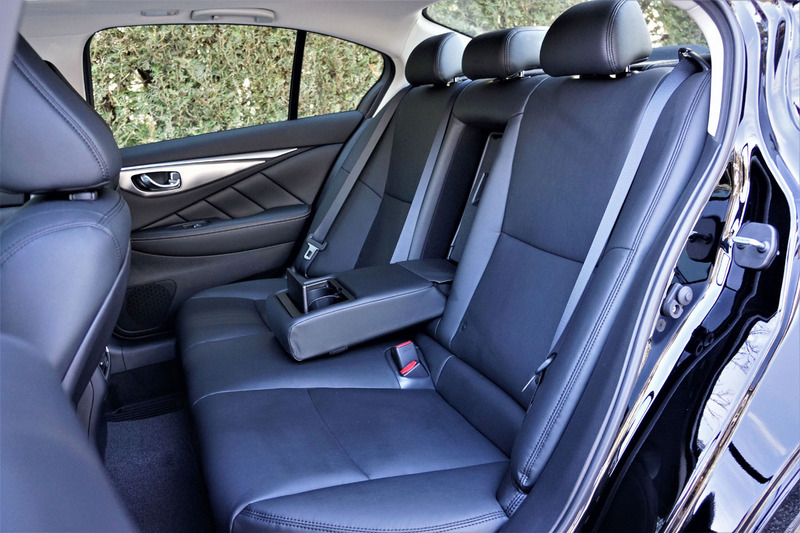 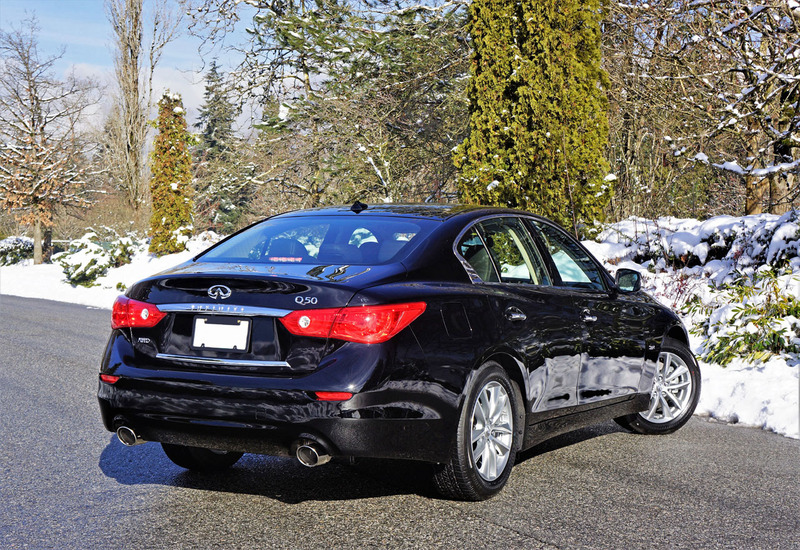 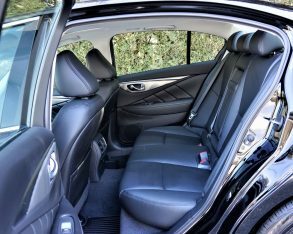 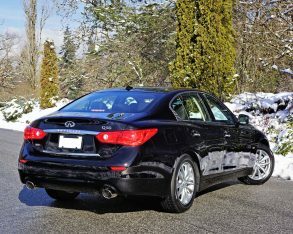 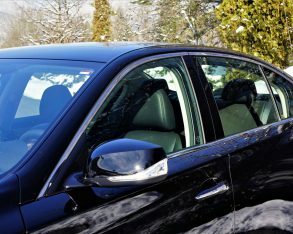 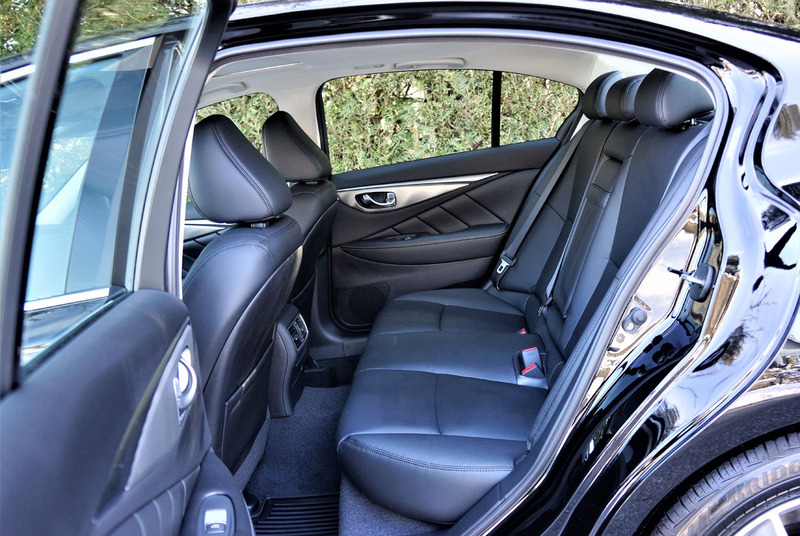 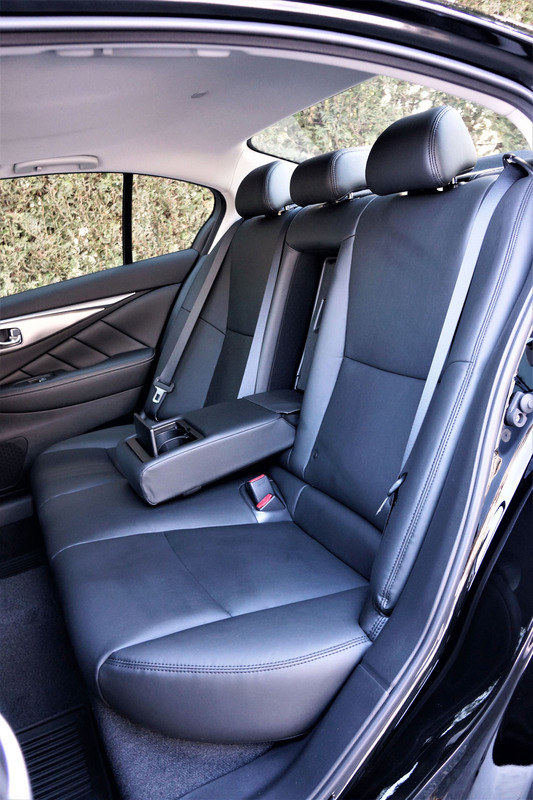 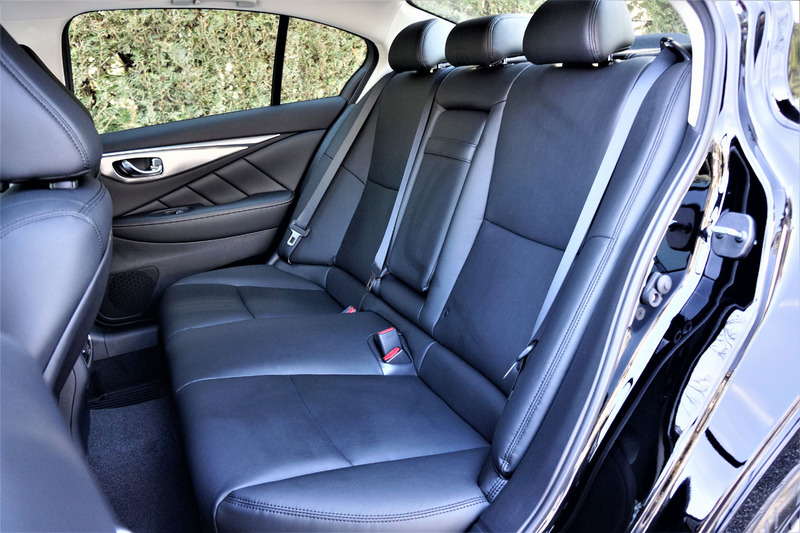 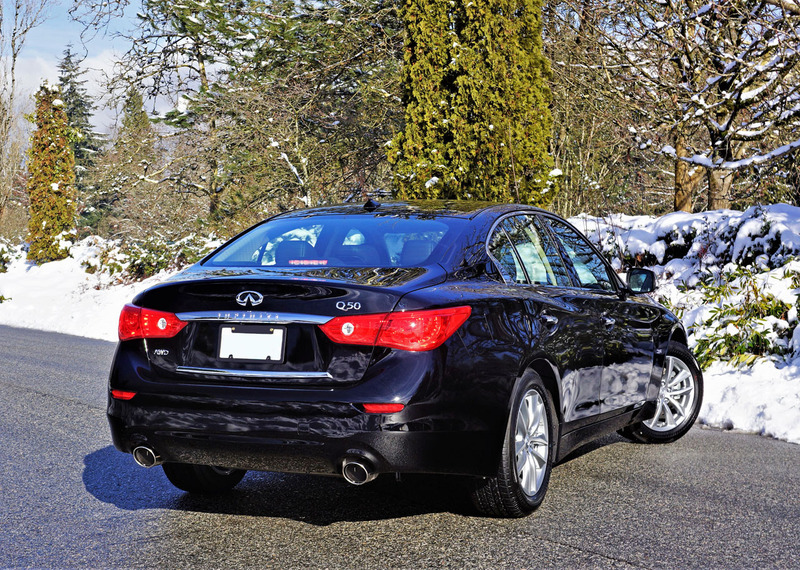 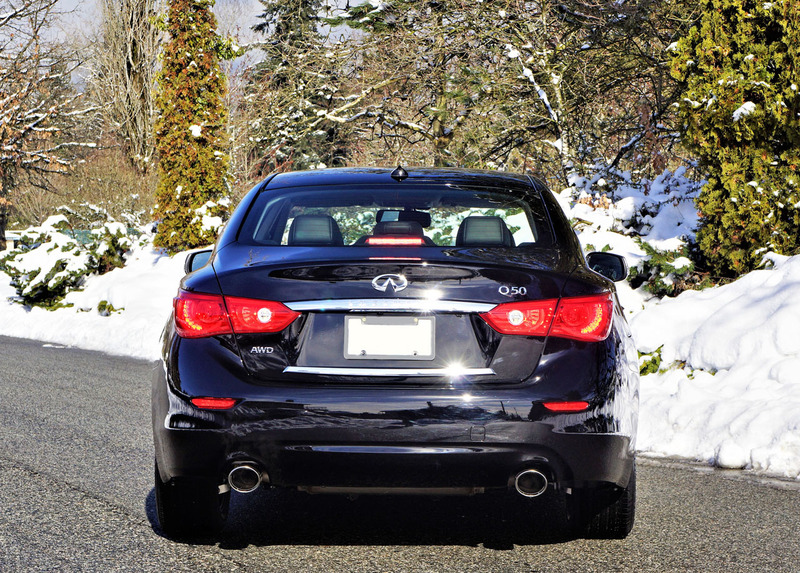 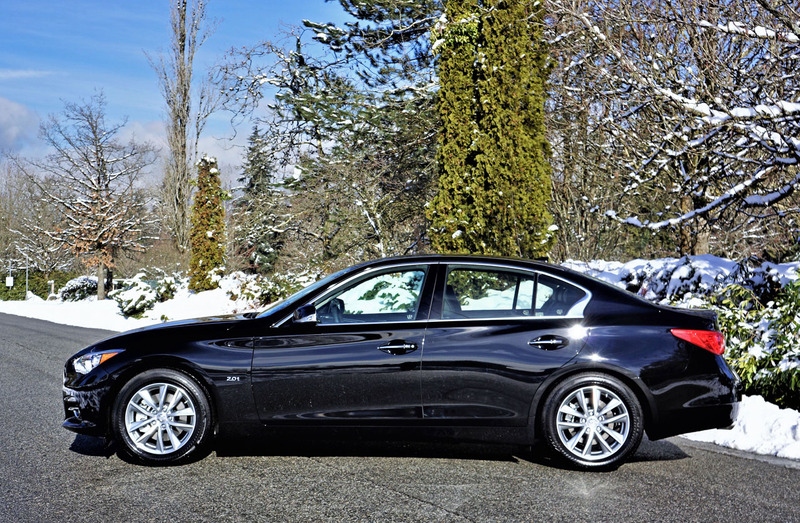 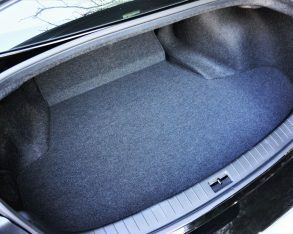 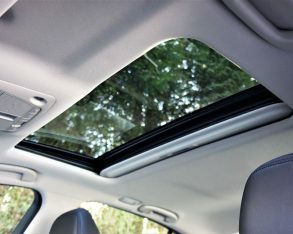 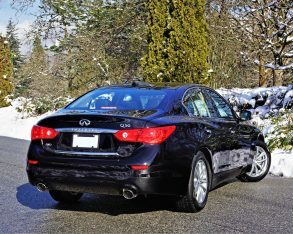 most European rivals that offer flexible 40/20/40 split-folding rear seatbacks to make their trunks more usable, the Q50 makes do with a 60/40 split configuration, although a centre pass-through allows longer items like skis through the middle while rear occupants enjoy the more comfortable window seats. 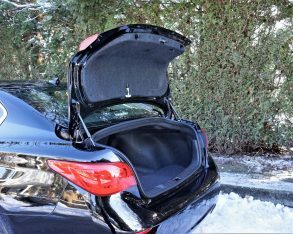 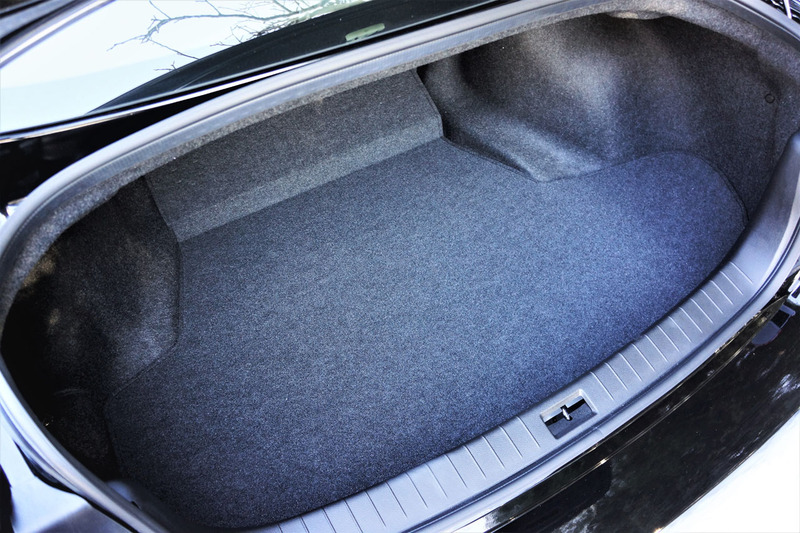 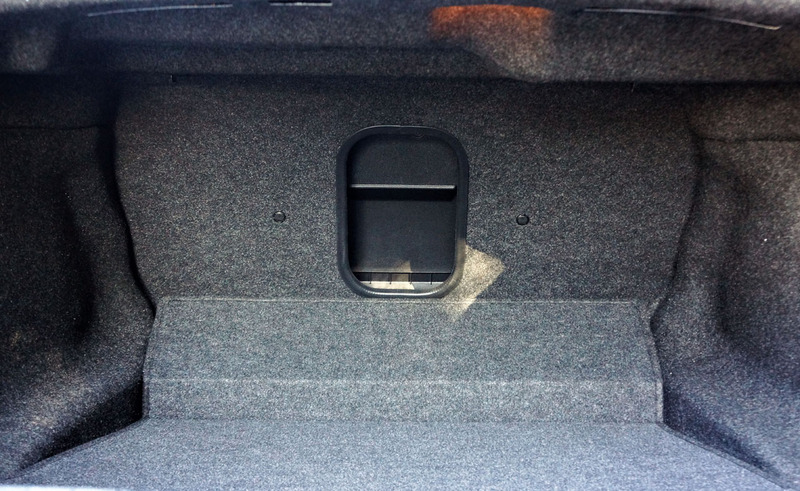 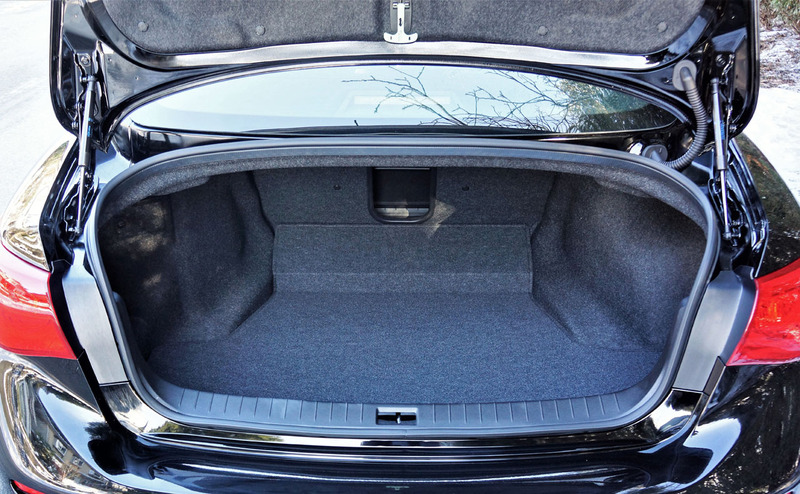 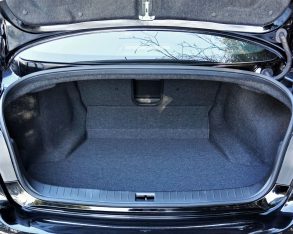 That’s a good thing, as its 374-litre (13.2 cubic-foot) volume makes it a bit light on storage space. 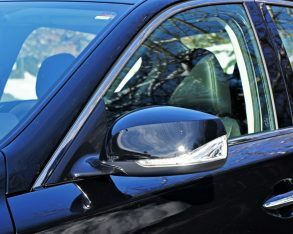 much the same albeit some of the base car’s plentiful chrome accenting gets replaced with body-colour and black paint.